This big ol’ hunk of love is Albus. 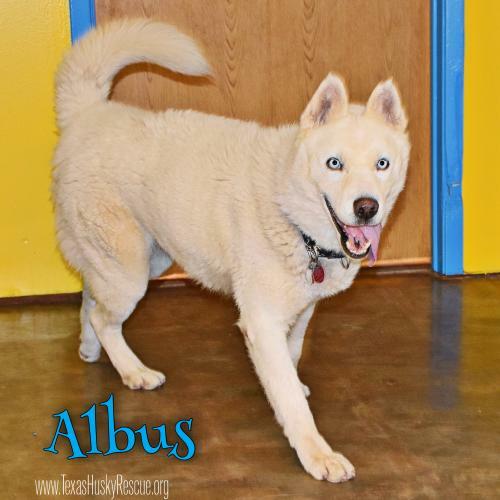 Albus is around 6 years old and has as much energy as dogs half his age! He has all sorts of spells up his sleeve...like catching treats...mid-air...EVERY.SINGLE.TIME! 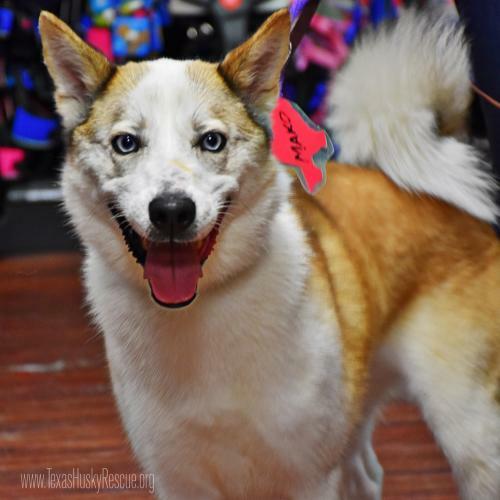 And is highly interested in treats so with a little patience and a savvy husky Forever Family he would make an awesome member of your family. 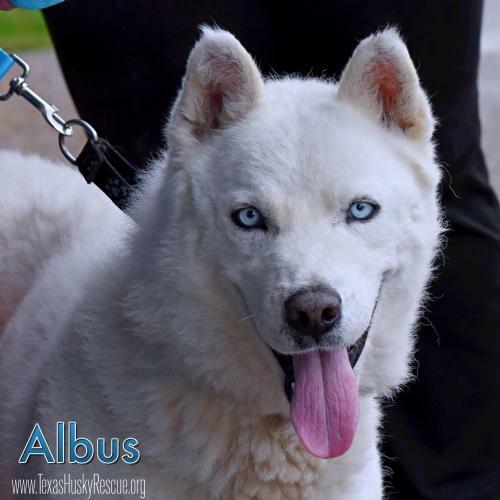 Albus is not fond of other male dogs so would do best as an only or with girls. 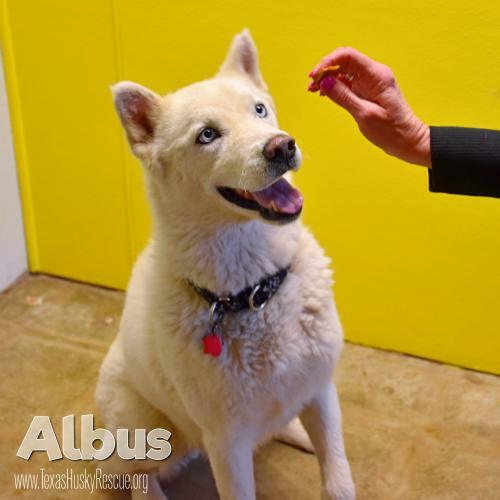 Albus does have high blood pressure which is easily controlled with inexpensive meds. 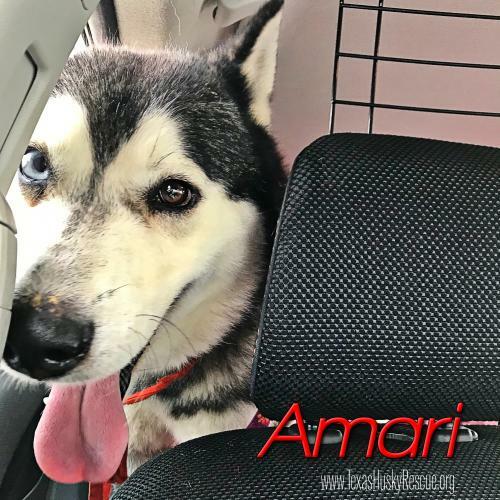 Amari is a sweet, older guy! 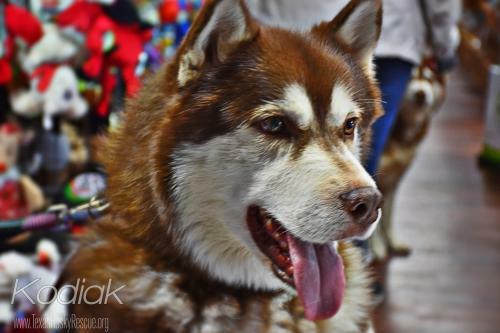 He is the strong, silent type...very gentle with his people and will paw for pets and love. 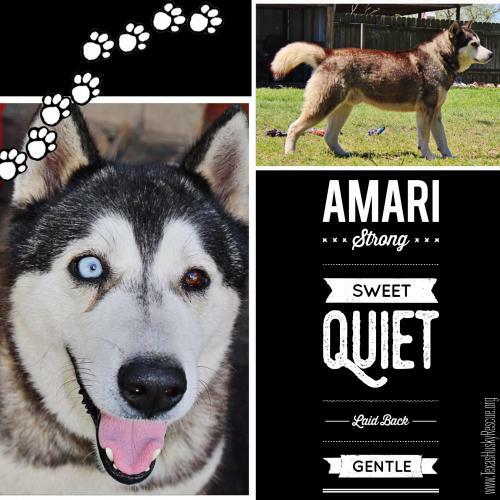 Amari is house trained and loves being outdoors! He is not a fan of the crate and should not be around small pets. He has glaucoma so needs daily eye drops. 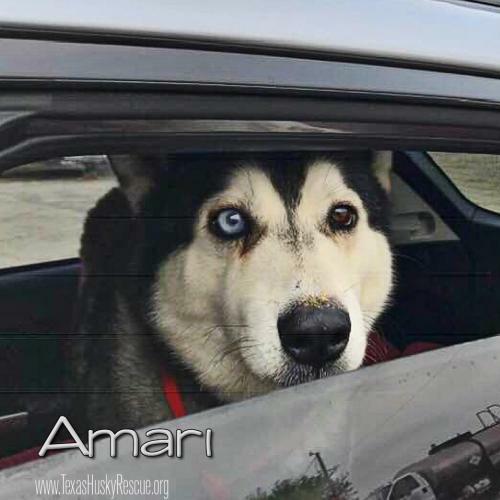 Amari is doing great at his Foster Home but is ready for a Family of his own. 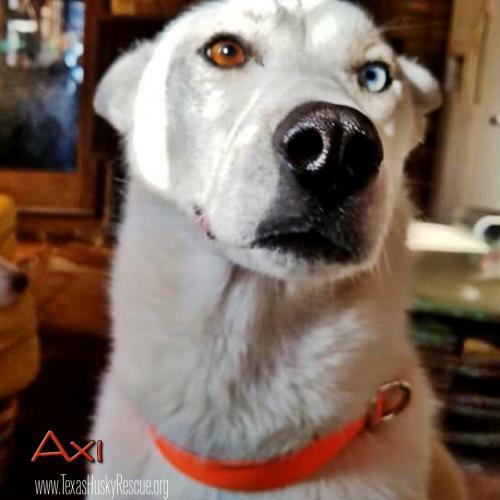 Axi was a street dog in Europe and would not be here without the help and love from many people around the world! 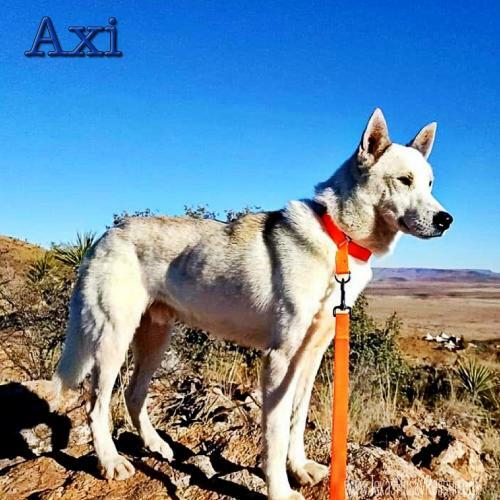 And now ...6000 miles and 6 weeks later, Axi is living the good life! 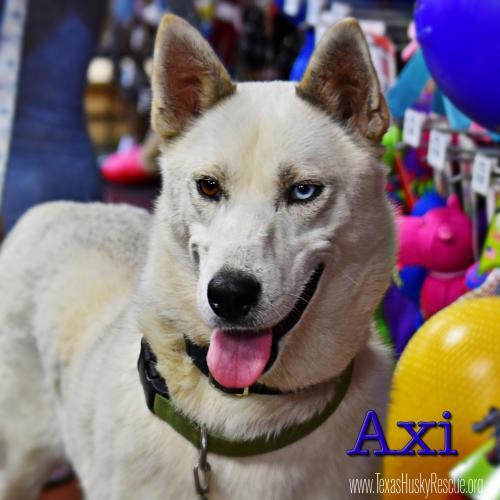 Axi is learning how amazing life can be at living in a home, with fresh food and water, a soft bed, lots of canine companions to hang out with and most importantly LOVE!!! 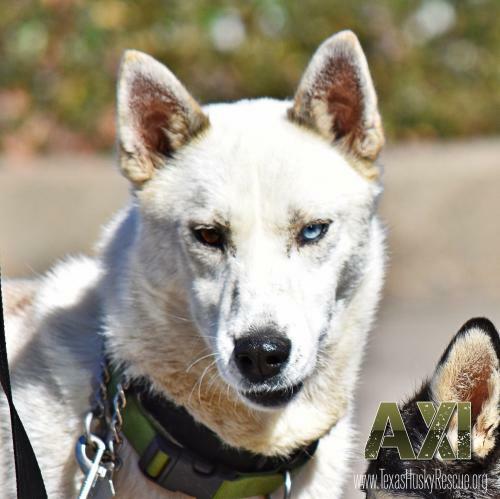 Axi is dog and people friendly and would love to find the beginning of his Forever!!!! 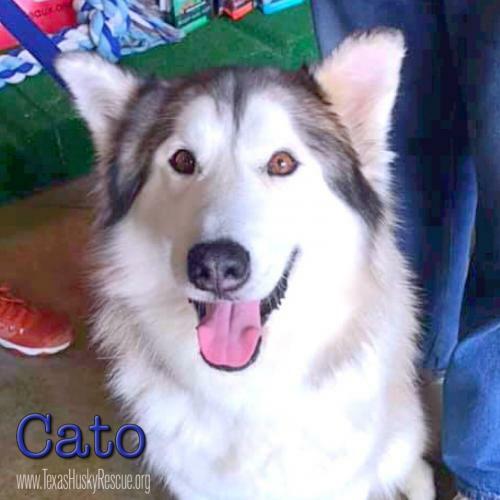 Handsome, fluffy Cato is around 3 years old and about as sweet as they come. 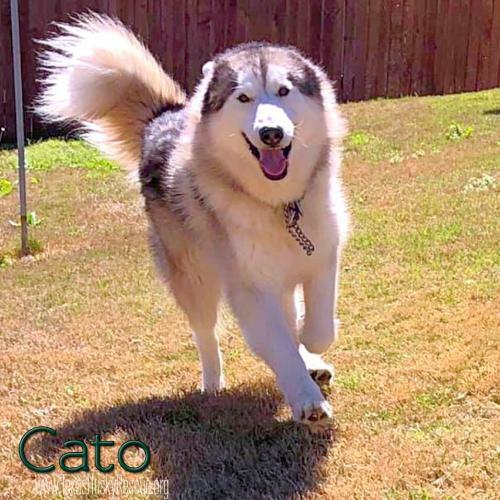 Cato loves just about everyone, is dog friendly and happy, happy, happy! Cato is settling in at his foster home and has declared his favorite spot as the recliner!! 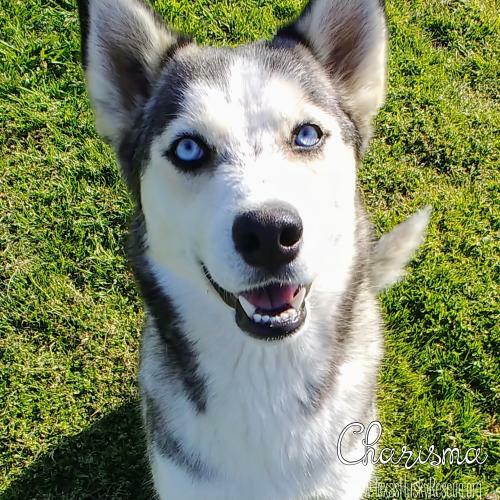 Charisma is about 11 months old and is the epitome of a husky puppy with energy to burn! 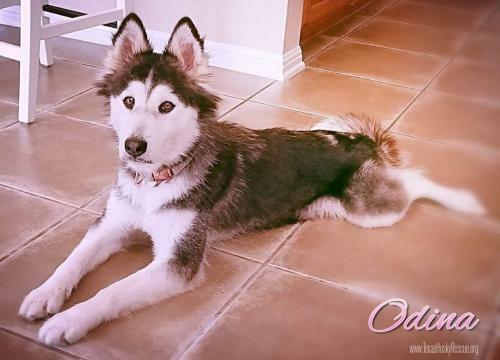 She is very active and excellent with other dogs her size (no small dogs). Charisma loves to give kisses and cuddle. 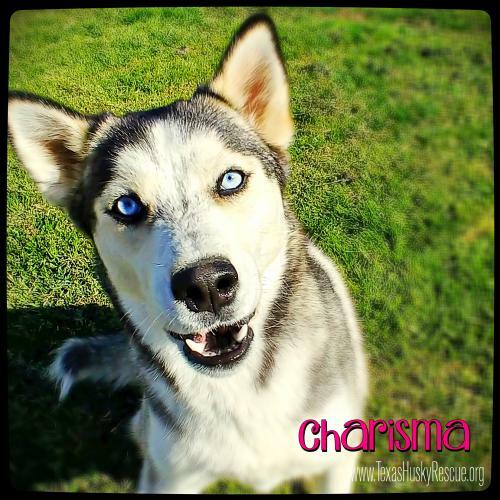 Charisma will need an experienced husky family who can keep her busy and out of trouble. She is has a lot say and has the cutest little grumble. 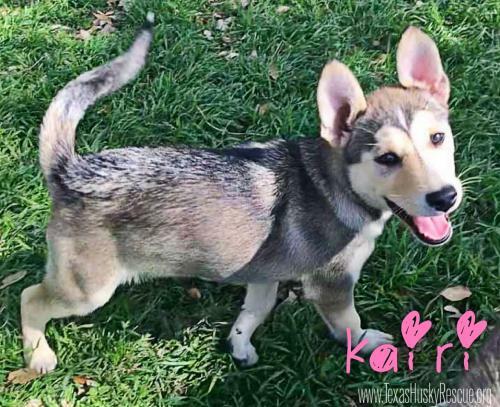 She loves to play in the water, is crate and house trained. 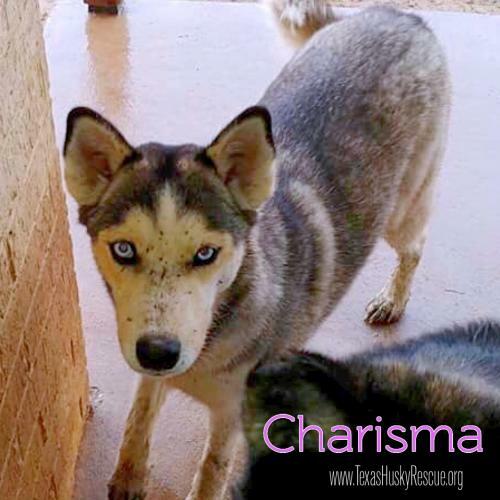 Charisma gets very excited and loves to be around the little kiddos but can be quite rambunctious so close attention is needed. 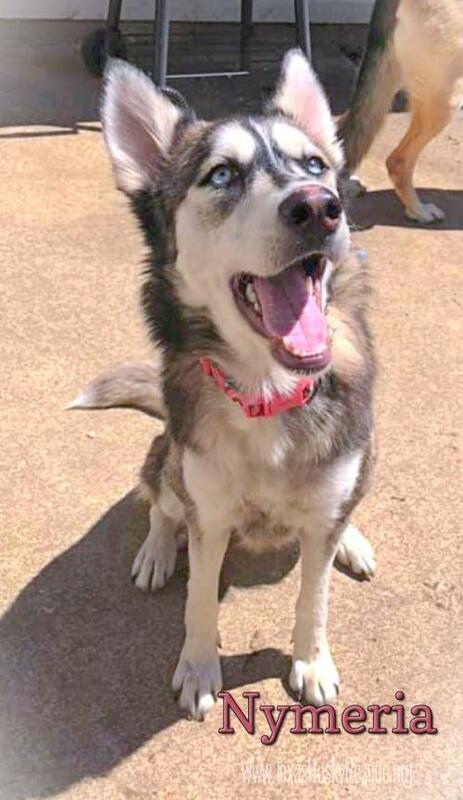 If you have an active canine and human pack and are looking for great little husky girl, Charisma may be the one for you!! 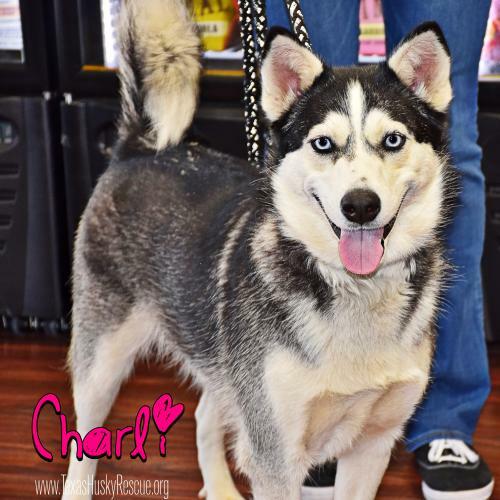 Charming Charli is around 2 years old. 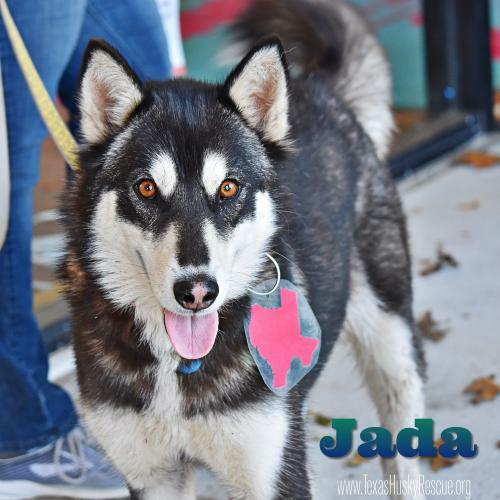 She is as sweet as can be and loves other dogs! 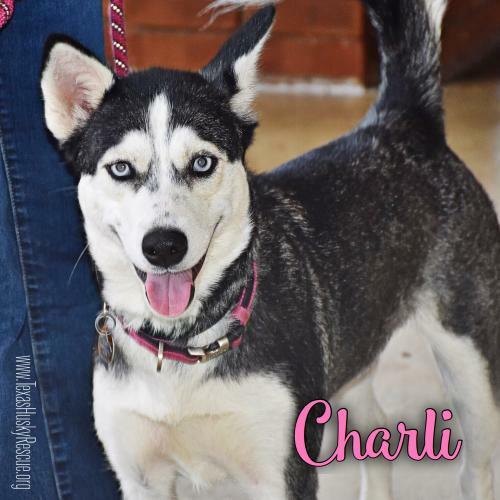 Charli does great with big and little humans. 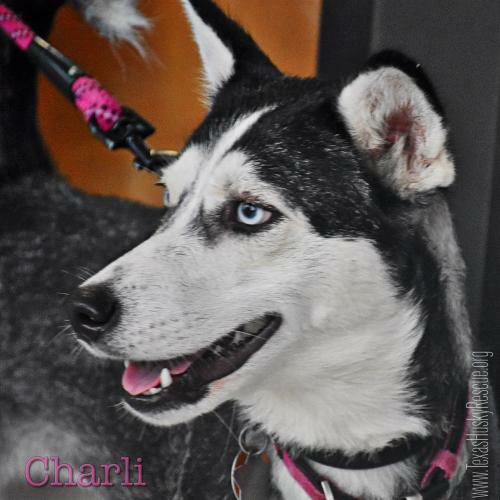 The thing about Charli is that she is level expert at squirrel hunting and fence climbing! 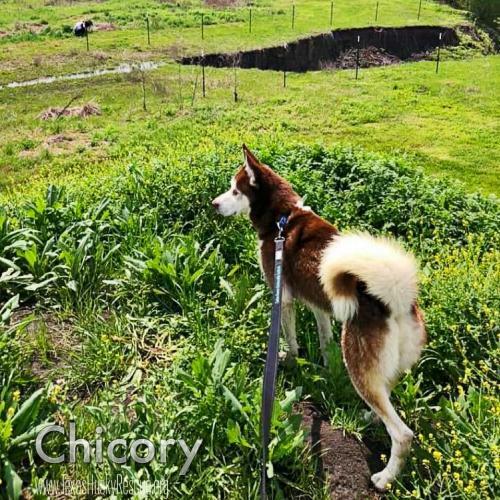 Charlie will need a Fort Knox type of yard and absolutely no small animals! 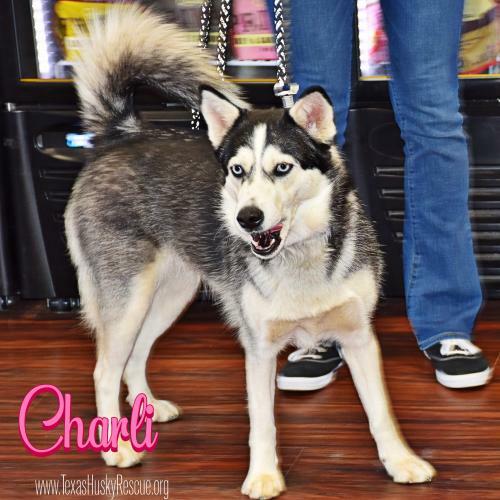 Visit our website www.TexasHuskyRescue.org for more info in Charli. 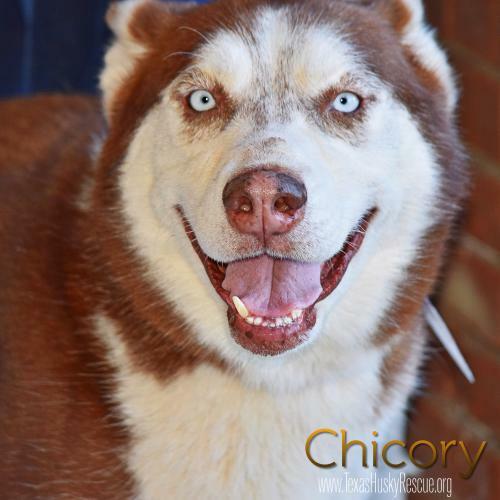 Swagger, silliness, and sociability are rolled into one handsome dog named Chicory. 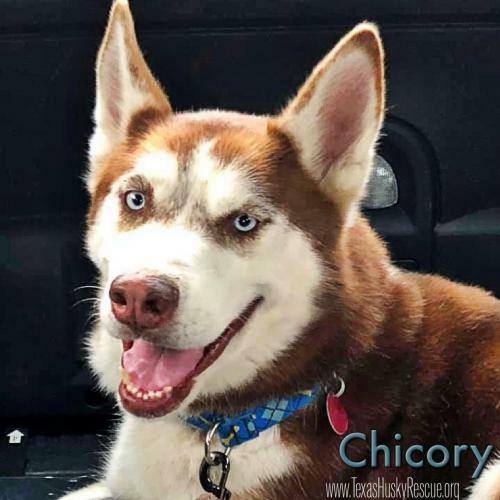 Stunningly handsome, he struts his stuff around town, but Chicory has more than just good looks to offer his lucky adopter. 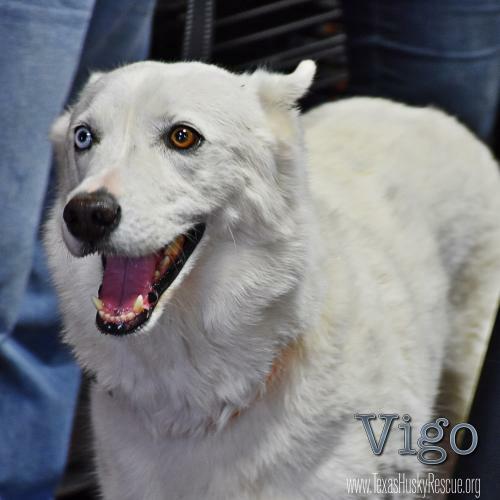 He is a confident, but friendly dog; with his tail wagging in circles when he sees a new person to greet. He is a social butterfly, but not clingy. 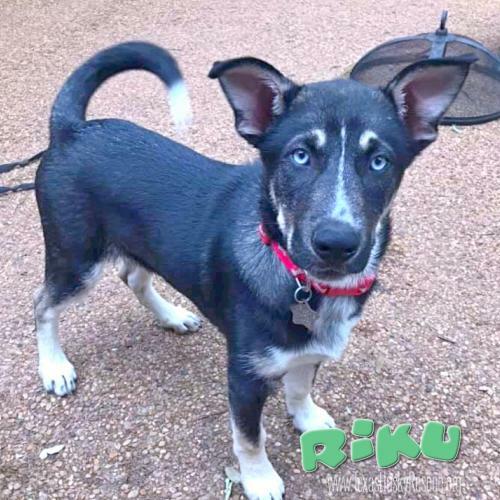 He likes other dogs, especially the ladies, and would do well living with a calmer female dog, and possibly a more submissive male. He could also be happy with a human only pack. 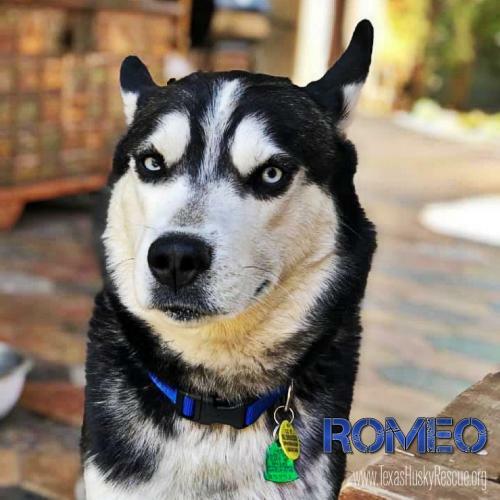 He has a natural sense of fairness, is incredibly smart and enjoys exploring his turf and new locations. 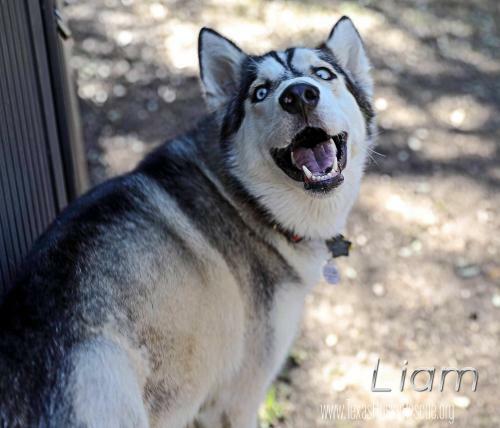 For a husky, he has lower energy, and would be happy with a walk and some exploring every day. 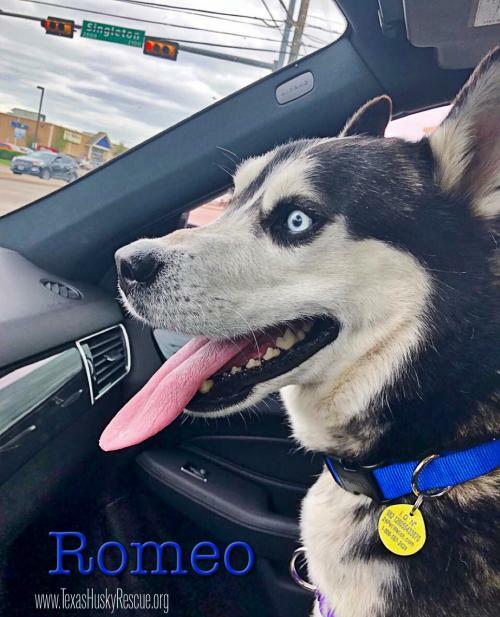 He has many talents such as climbing ladders, being a great goofy playmate, riding in the car and laying next to your bed. He has excellent house manners, is house trained, and is not destructive when left alone. 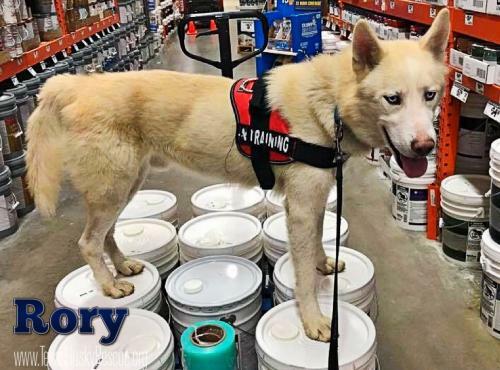 This four year old, 65 pound, male dog may take a few weeks to fully bond with his new family due to his previous lack of enrichment and connection with humans. If he is shown his humans care about his needs and interests, his heart will be yours. 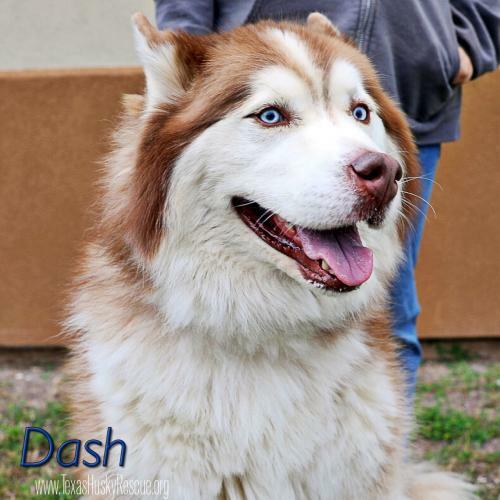 Appropriately named Dash (he is dashing, after all) is about 4 years old and a sweet, playful guy. 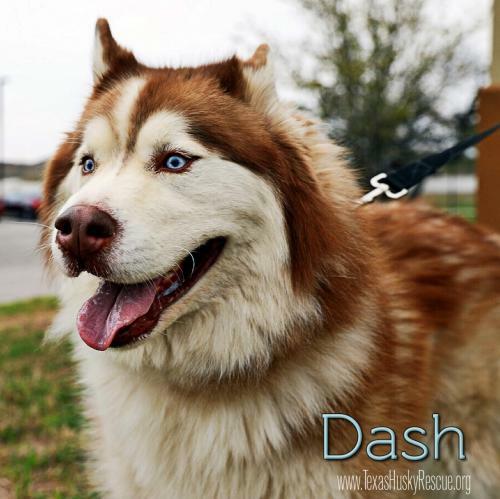 Dash is dog friendly and doing great at his foster home!! 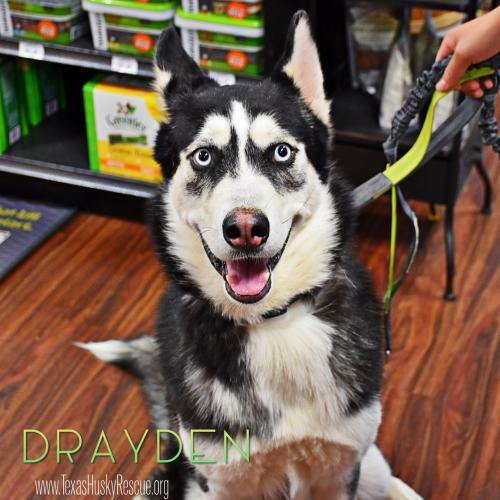 Drayden is a big husky bundle of energy who loves his people. 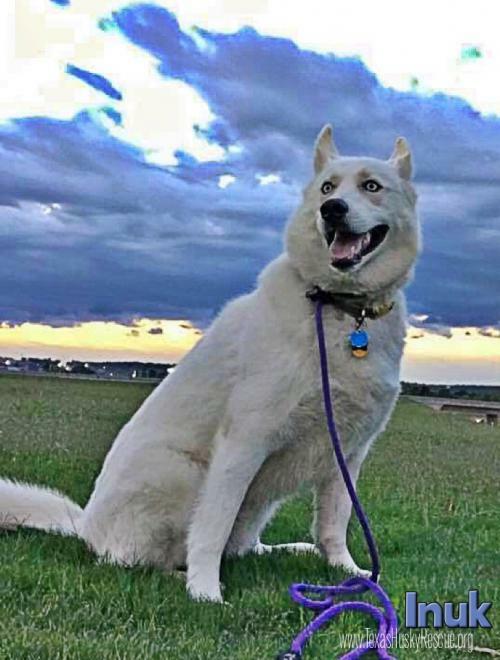 He is awesome on a leash, crate trained and has learned some basic commands. 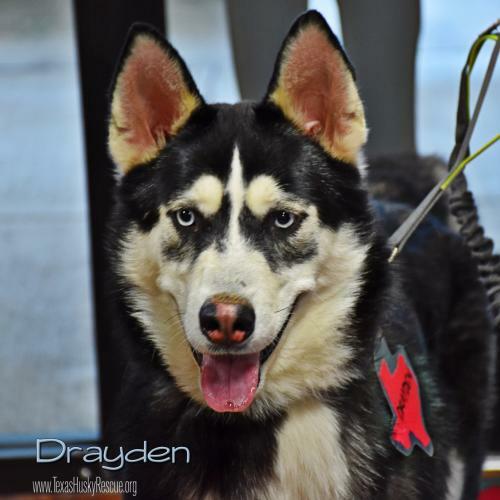 Drayden plays well with his German Shepherd and Husky foster siblings. He loves kids and cuddling. 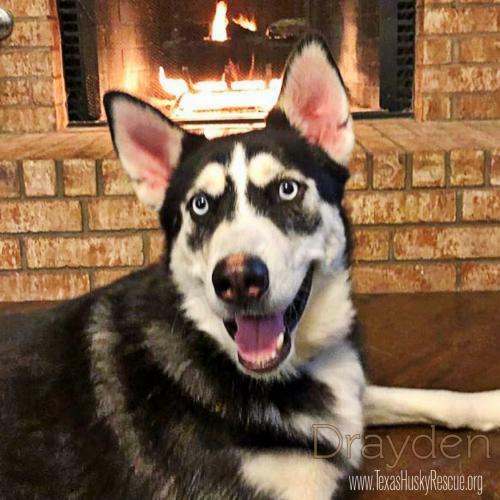 Drayden will need an active family to keep him busy...if he gets bored he may find other activities that could possibly get him in trouble...like chewing shoes and cushions. 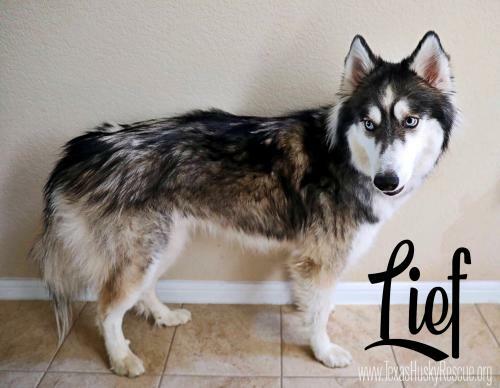 So if you can keep this handsome guy busy and active, he may just be the perfect match for your pack. 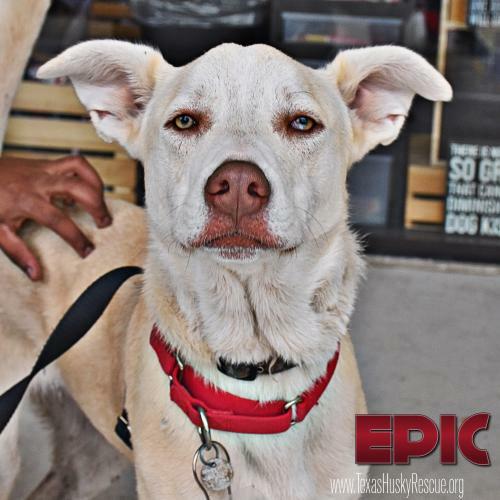 Epic is just about 11 months old and ready for a Family who will love him for Forever! He’s doing great with everyone at his Foster Home...kids, dogs! Epic is an awesome guy!! 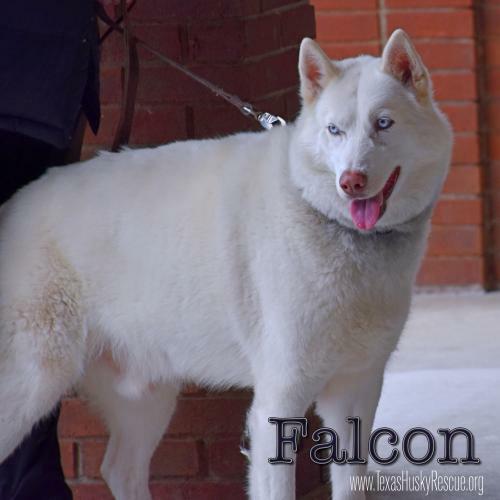 Falcon is so stinkin' cute, everyone who meets him just wants to squeeze him for as long as they can. He's about 8 years old and quite the talker. 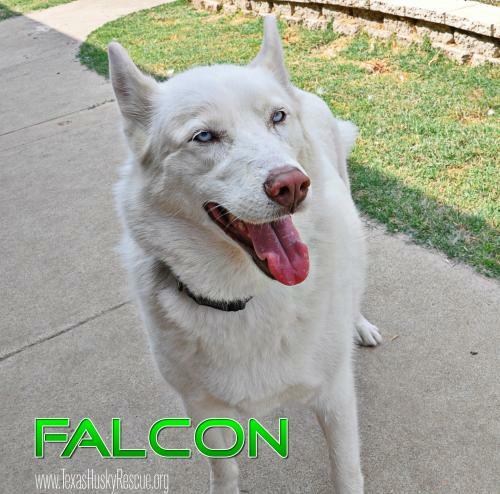 Falcon is so sweet and loving and wants nothing more than to make his human friends happy. And if that means kissing you or properly sitting for his treat, he's all over it. 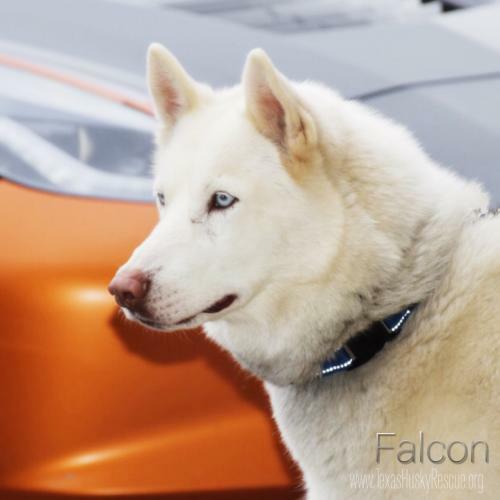 Falcon makes a great car riding buddy and will just lay in the seat the entire trip. He is not too fond of cats. He does very well with people of all sizes. 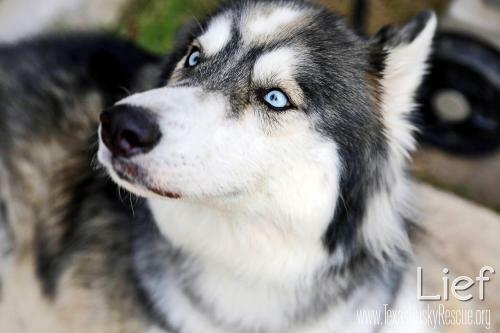 In fact, he saves some of his best husky kisses for his toddler friends. 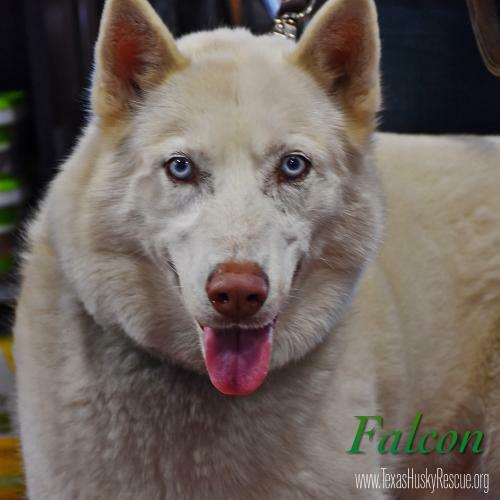 Falcon is just all husky and all adorable and is going to make some lucky family extremely happy! 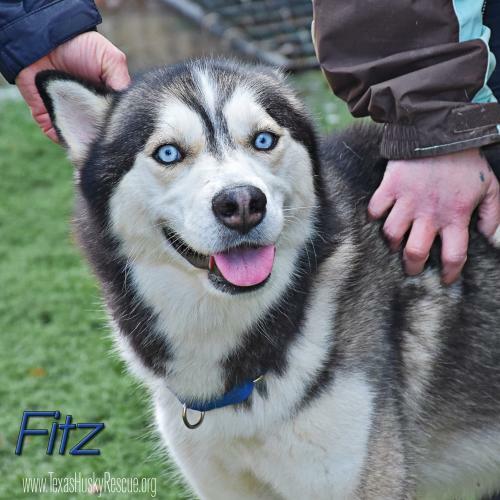 Handsome Fitz is about three years old. 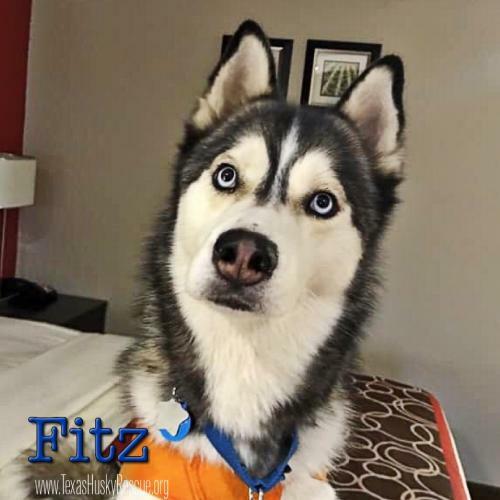 Fitz is doing really well at his Foster Home. 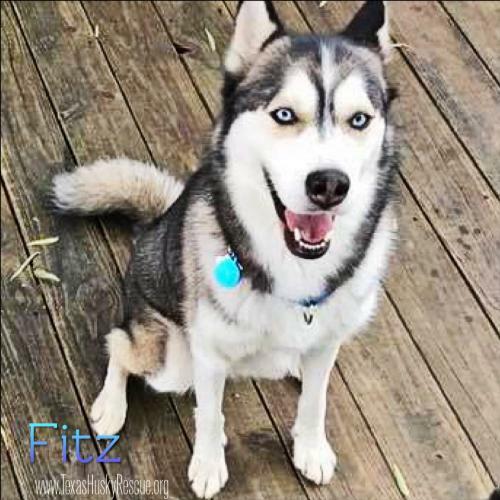 Fitz gets along fantastic with other dogs. 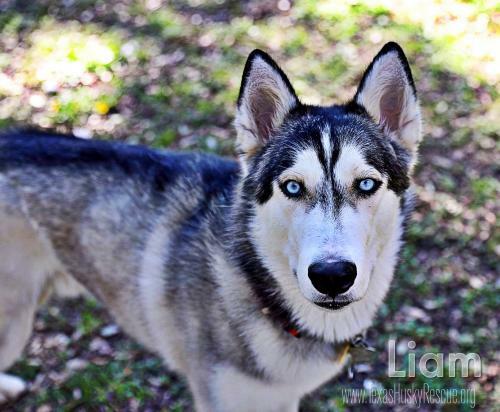 He has good basic obedience skills and house manner. 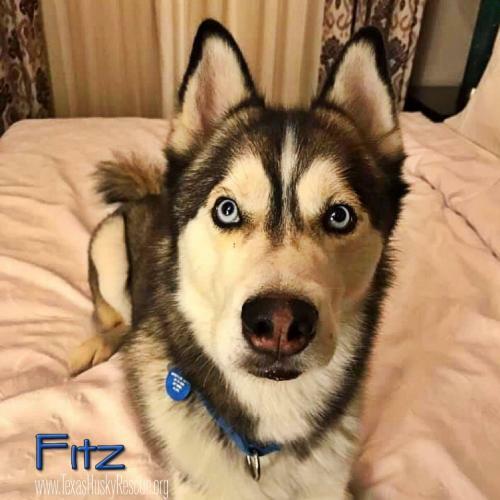 Fitz would do best in a home with confident leaders. Children are not recommended. We know you’ll never forget, the Palm Valley “boy” that actually was a girl! Just look at Harissa now! OMG...what an amazing, breathtaking transformation! Look at the joy on her face! This face is why we do what we do! 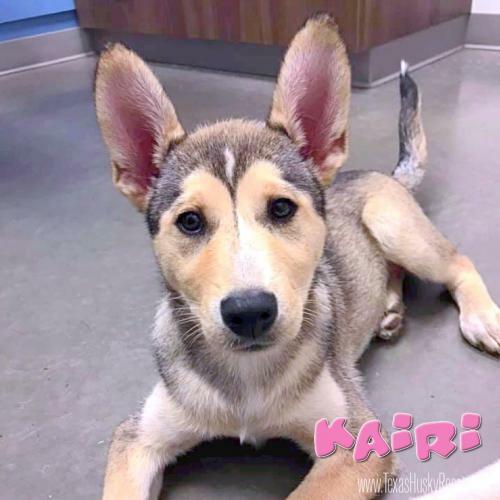 This sweet, sweet girl is all healed and ready for her very own Happily Ever After! 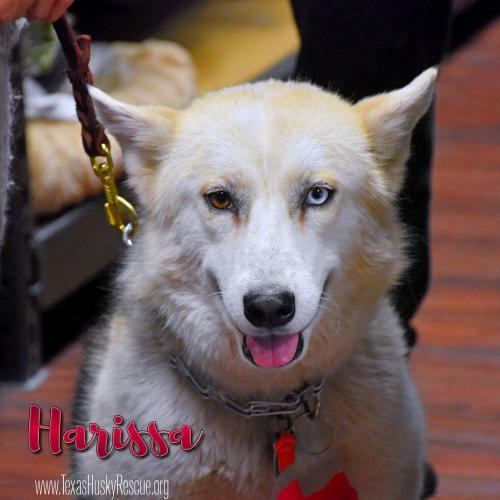 Harissa is around 2 years old and is settling in wonderfully at her Foster Home. Harissa is not a fan of the crate and will be sure to let you know...unless you have noise proof walls, apartments would not be recommended as she can be quite vocal. 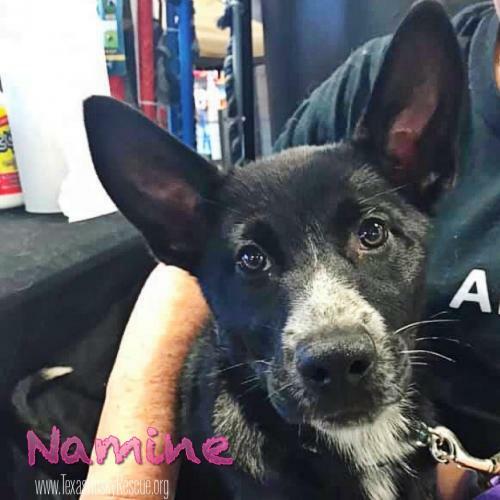 She is potty trained and her Foster keeps her in a gated room where she does great. 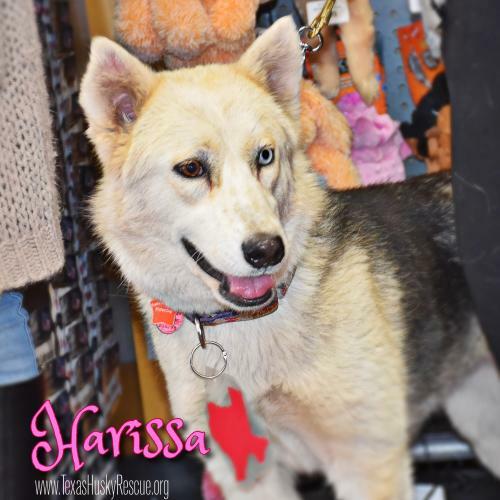 Harissa is a bit shy around new dogs but with proper introductions and some getting to know you time, she does well and loves to play. She has lots of energy but calms down quite nicely. 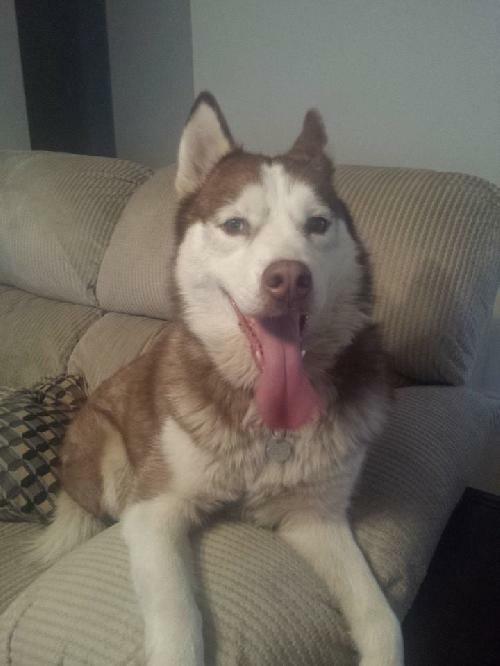 Mostly well behaved with some "typical husky" thrown in as spice. 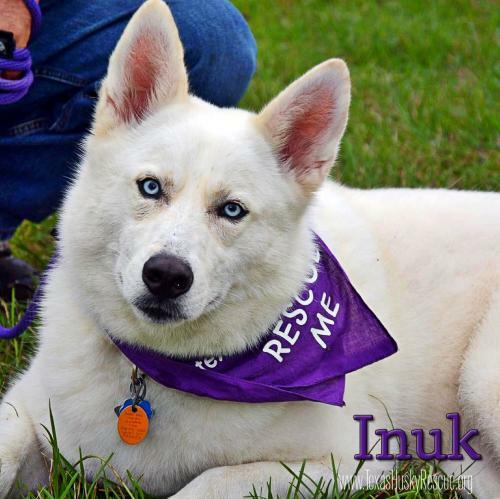 Inuk is good with larger dogs, haven't had him with small dogs, I'd say it would depend.. don't think cats will work. 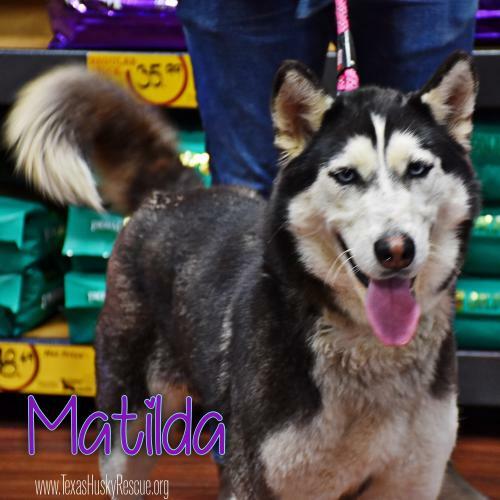 House trained, knows sit, down, heel, stay, shake.. crate trained but doesn't really need to be crated - not destructive. Loves people. Especially loves small people but should be supervised around children. 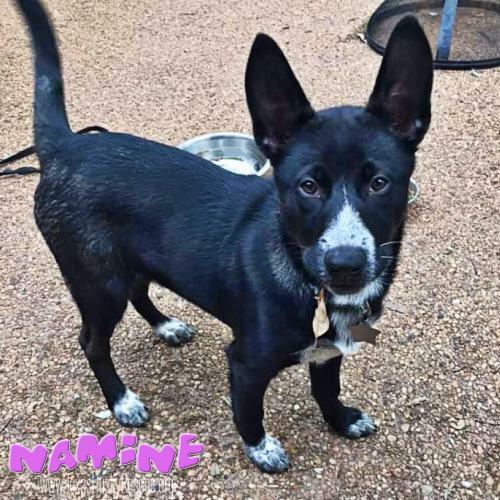 Medium - high energy, would make a good running buddy but able to chill out and relax. 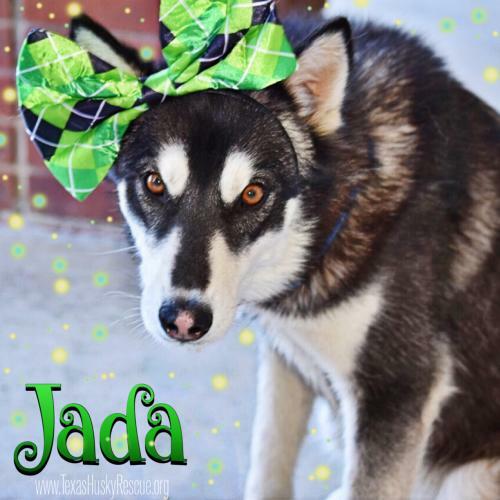 Jada is such a sweet girl. She's just around 2 years old. 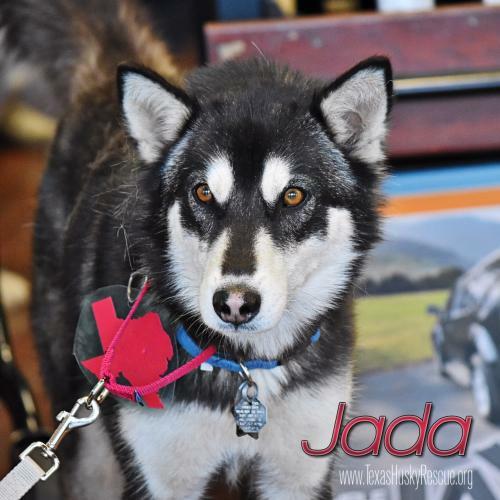 Jada did great at our recent Meet and Greet with all the dogs and loved the attention from all the humans. We are still getting to know this beauty, so stay tuned for updates! 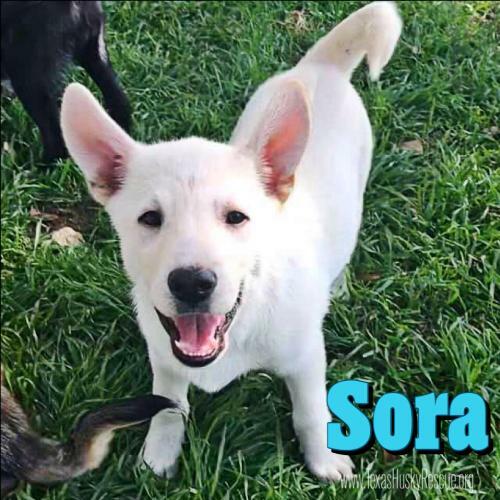 Meet the Kingdom Hearts puppies! The power of friendship will help them embark on their next adventure of finding their Forever Families! 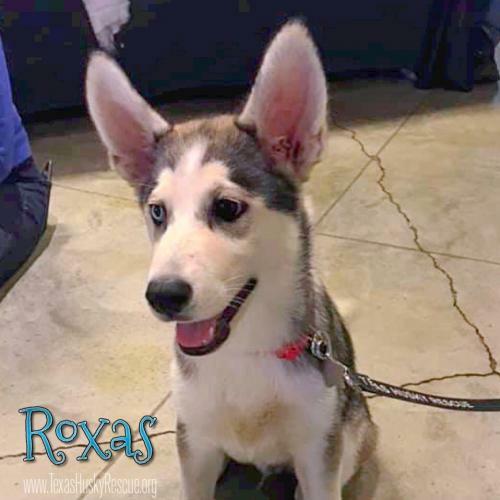 Meet Roxas, Sora, Namine, Kairi and Riku! 13 week old puppy friends ready for adventure. 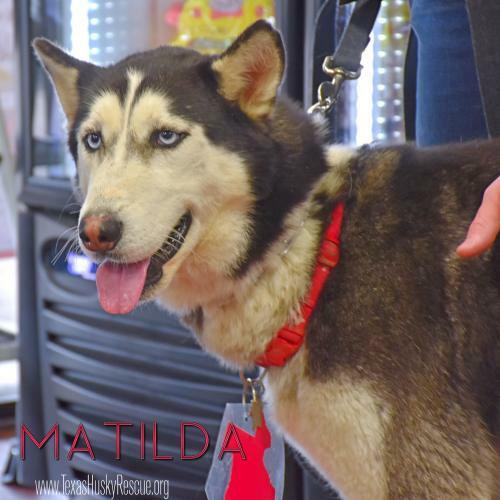 Kimmy (aka Dakota) is a sweet and calm eight year old Husky girl. 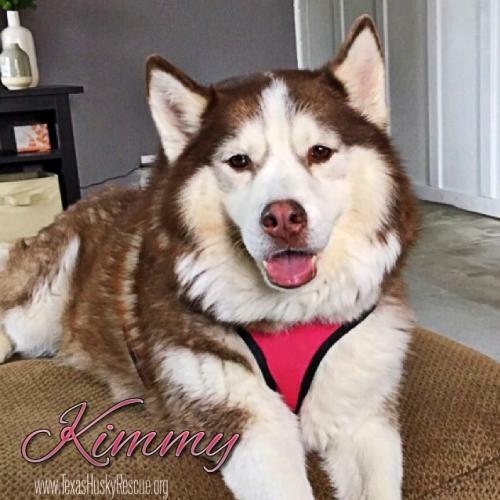 Kimmy is a bit shy and would do best in a calm home with a great mom, no young children. 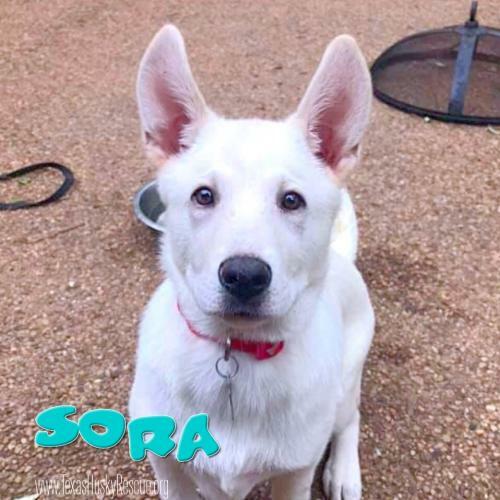 She is house and crate trained and prefers dogs who are smaller than her. Although she likes to be the boss, Kimmy has excellent leash manners and is good in the car. 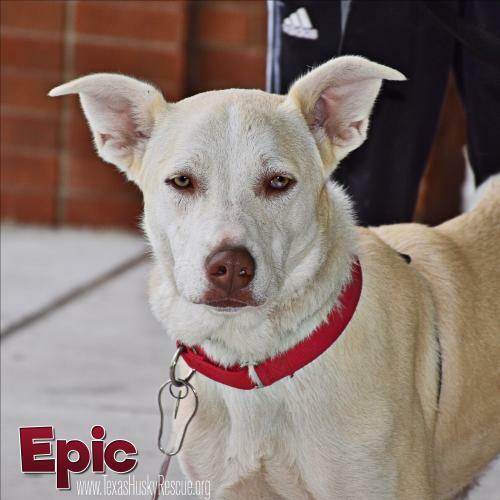 Once she warms up to you, Kimmy is very affectionate, loves belly rubs and adores giving kisses! Kimmy also loves to talk. She would be a great addition to the right pack but can be an only. 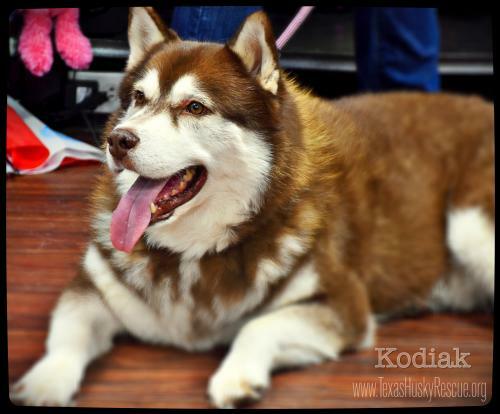 Kodiak ~ This handsome hunk of a husky was an owner surrender because he "kept escaping." 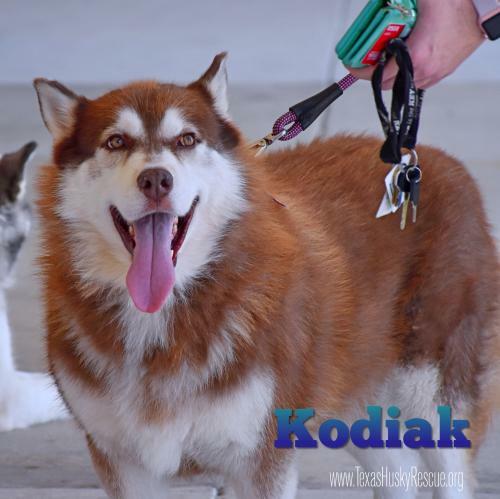 Kodiak was escaping because he was forced to live outside in this horrendous heat and was looking for a cool place to crash. 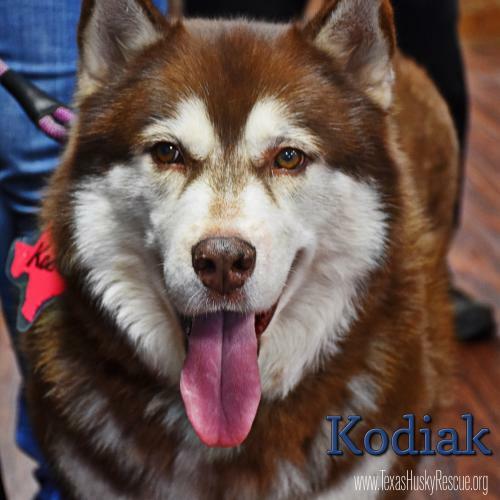 Kodiak is 4 years old and is settling in awesomely at his Foster home. 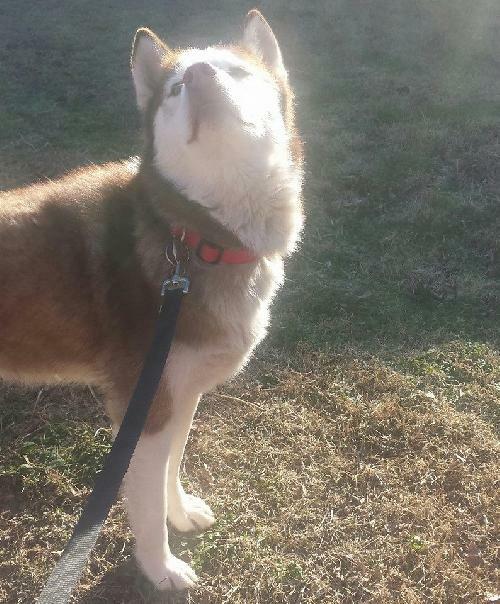 He loves going on walks, loves his foster doggie sister and hu-brother and is learning to be an inside dog. 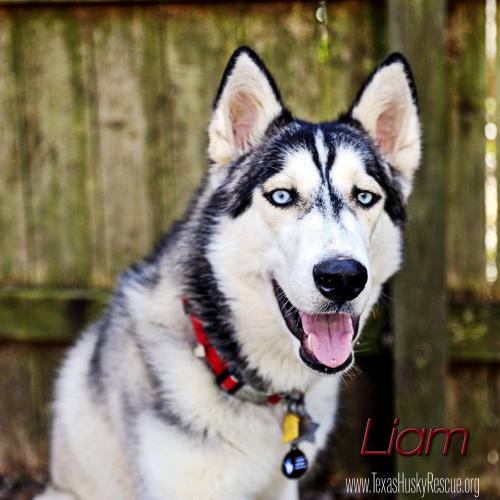 Liam has been with us since October healing from injuries due to a car accident, but he’s finally ready to meet his Forever Family! 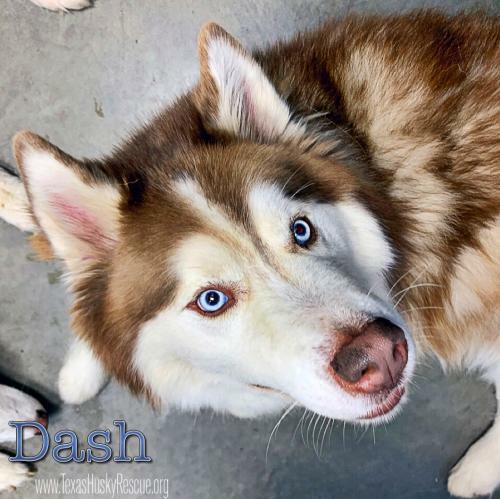 Due to the accident, he’ll never be a jogging companion, but he’d love to snuggle up with you on the couch and take easy walks. 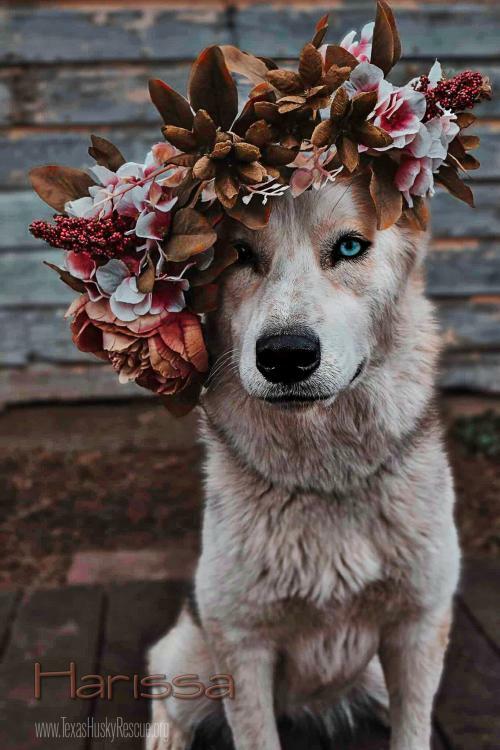 Just look at that charming face! 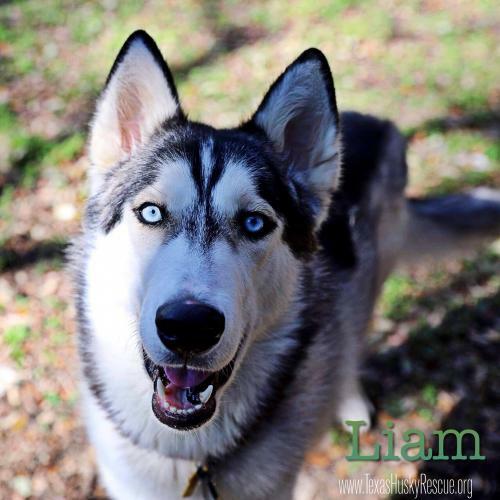 Liam is around 2 years old and has tons of energy that he’s ready to share it with the world. He’s crate trained! Liam prefers to be the only action hero in the house and young children are not recommended. 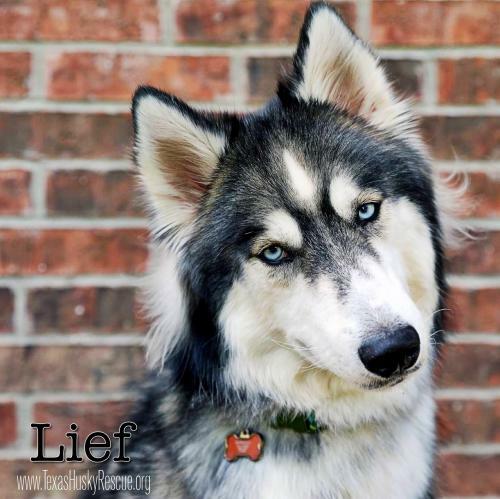 Like a certain Nordic explorer, Lief will stake a claim to your heart! He is around three years old. And, yes, he really is that cute. 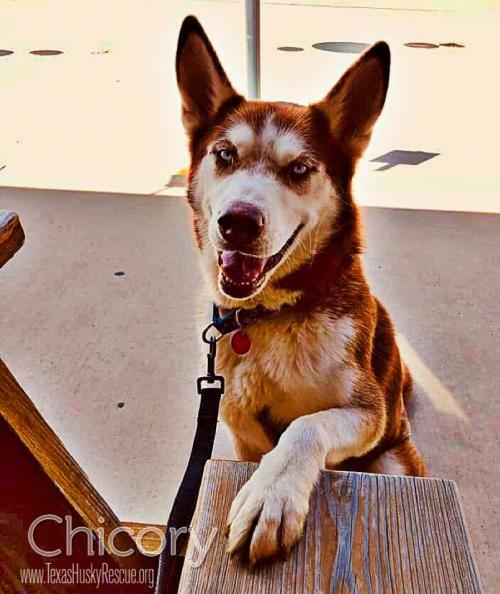 He's dog friendly and ready to join your pack!! 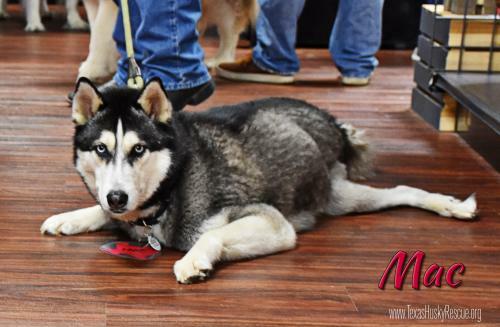 Matthew McConaughey (AKA MAC, Mac & Cheese, the Aacaroon) is a sweet pocket husky at 48 pounds, with the best cinnabon tail you’ve ever seen. 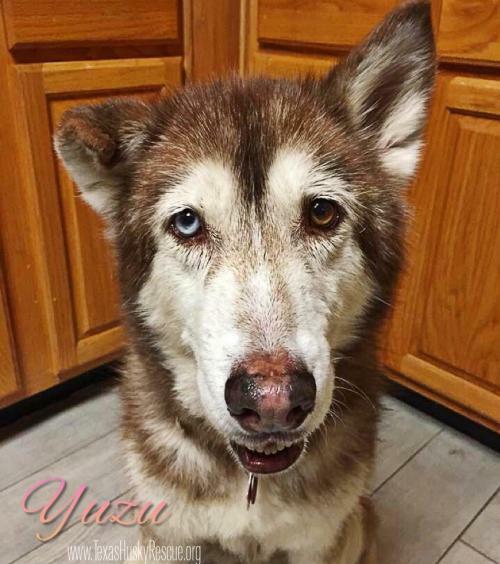 He likes nothing better than cuddling with his humans, and getting lots of love and attention. Mac is a talker, with the deepest voice ever heard. He is crate trained and doggie door trained, but not yet fully house trained. He knows basic commands like“sit” and “down”. Mac is good with other dogs, though a little possessive about food. He could easily be an only dog. It is not known how he would do with cats or children. 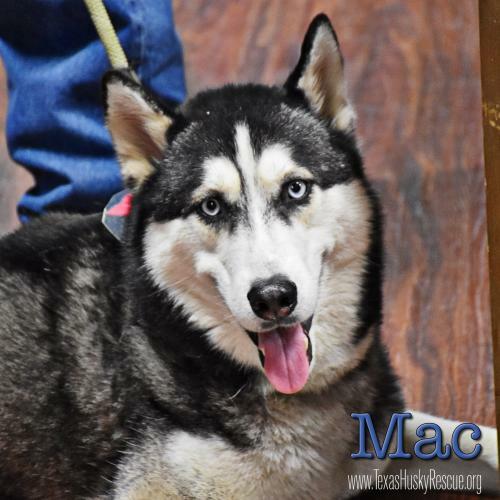 Mac is familiar with walking on a leash, but needs additional training to stop pulling. 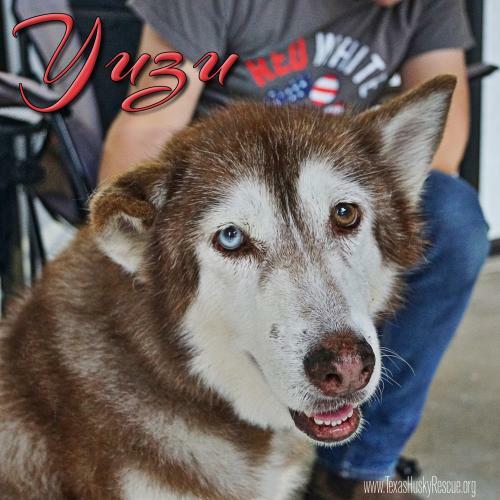 He was hit by a car, and has been in PT rehab after orthopedic surgery for a broken femur. 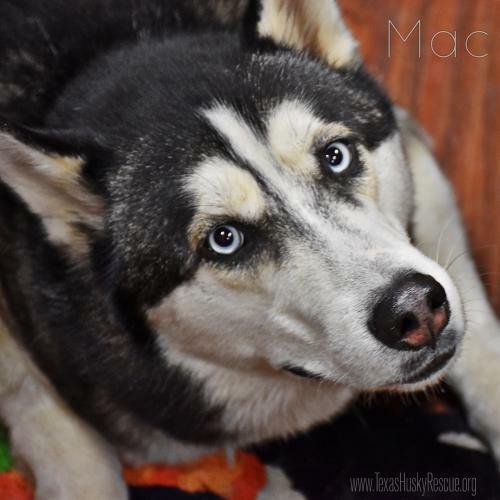 Mac has been a real champ, taking his PT calmly, and recovering in what the surgeon called record time, just 4 weeks from surgery to release for adoption. It is recommended that he be eased into vigorous walking, or play, but is not under any restrictions. 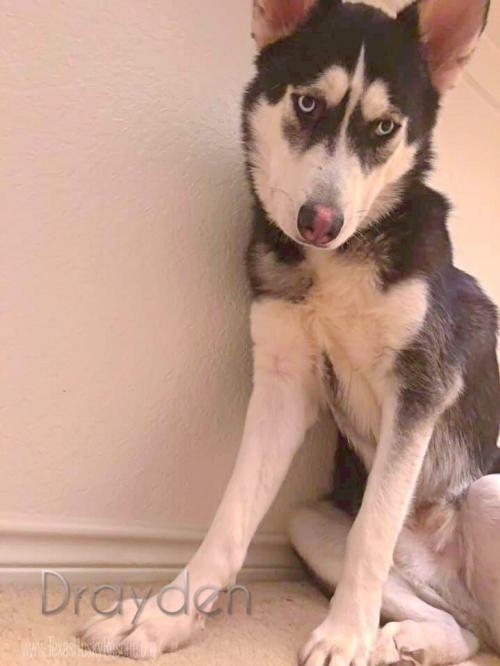 Due to the accident and a rear paw missing 2 toes and the major central pad, he will never be a jogging companion, but he’d love to snuggle up on the couch and take easy walks with you. 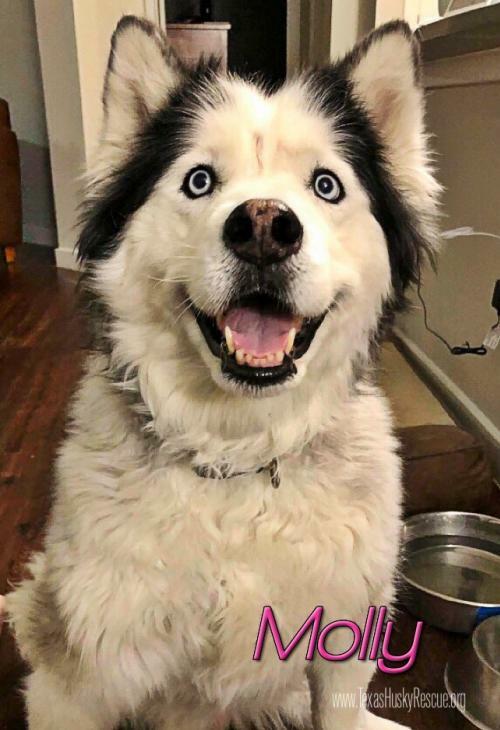 Just look at that charming face! 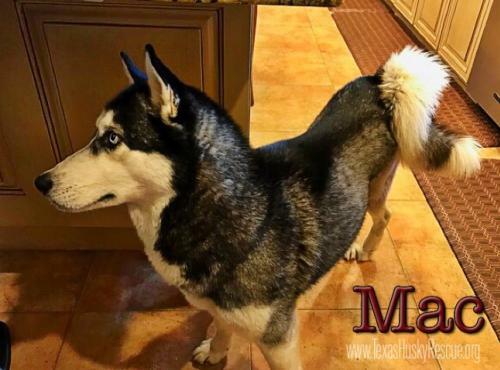 Mac is about 2 years old with tons of energy and personality that he’s ready to share it with the world, and is ready for his fur ever family. 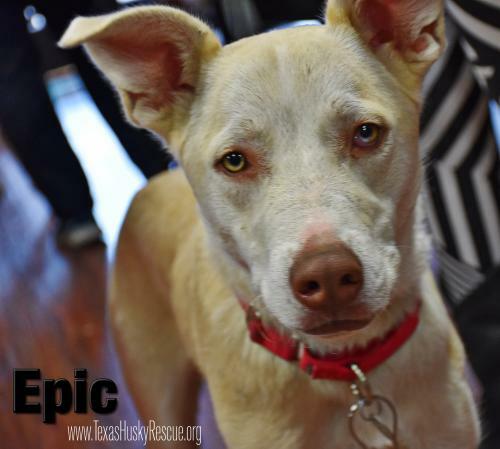 Visit our websitewww.TexasHuskyRescue.org for more info on Mac. 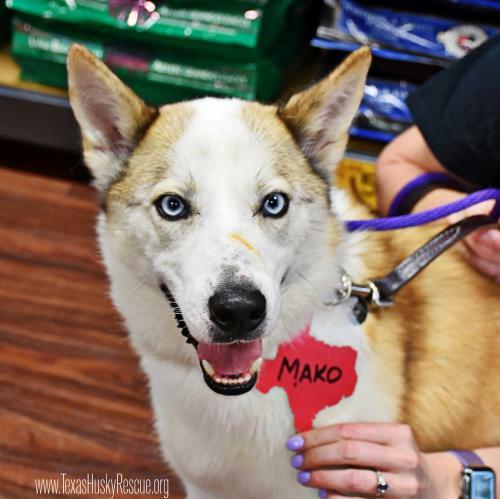 Mako is around 3 years old, has the softest fur and most hypnotic blue eyes. 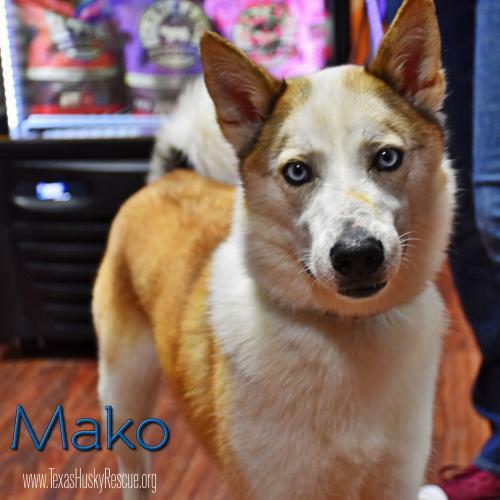 Mako is a spirited, playful and rambunctious guy. 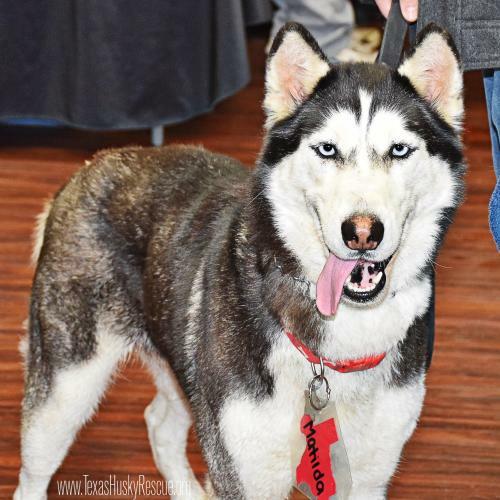 He would do best in a home with no young children but husky savvy teens would be fine. 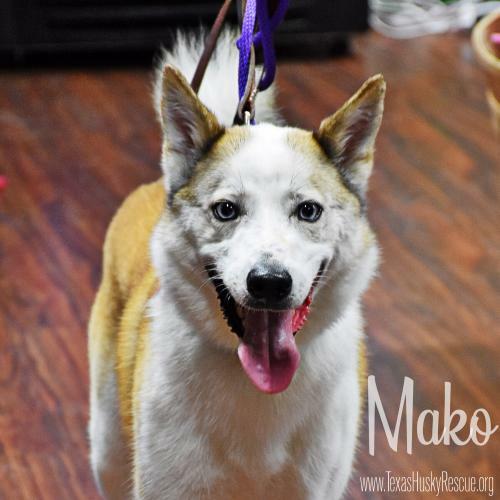 Mako needs a very strong dog savvy leader who will enforce the rules and pack order. Mako is not fond of sharing so he may be best as an only. 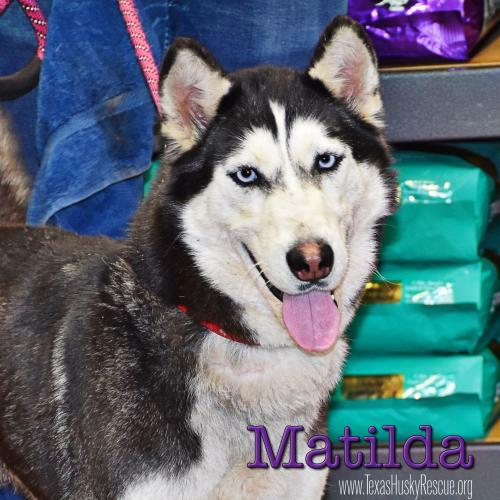 Lovely blue-eyed Matilda is on the hunt for forever. Check back for more information on this beauty. 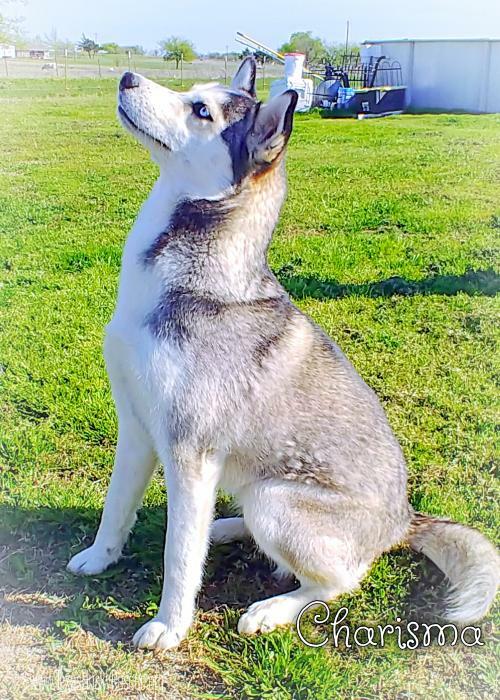 Molly is 3 years old and joined the TXHR Family back in October. 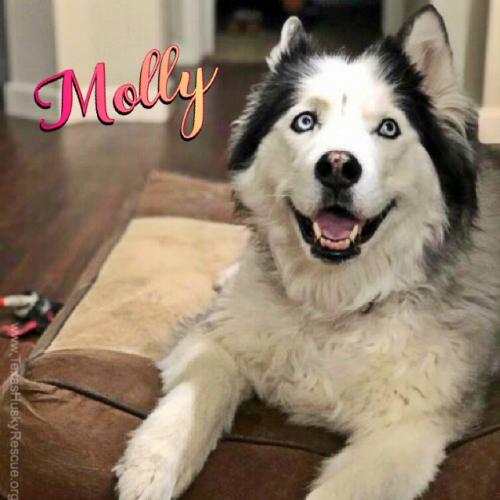 Molly was an owner surrender to a local shelter because her family "traveled too much!!!" Really?! 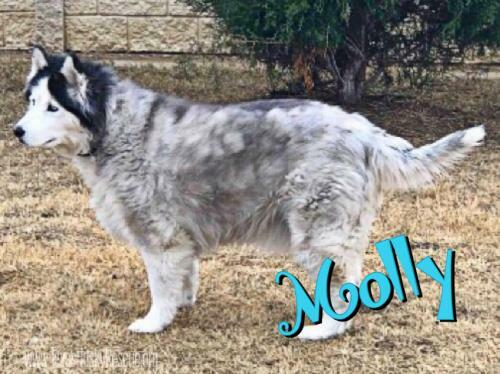 Molly was immediately put on the "list" because she was grossly overweight(50 lbs), her fur was so matted she could barely move and an owner surrender. Unfortunately, she had to be completely shaved because of the matting and a yeast infection. 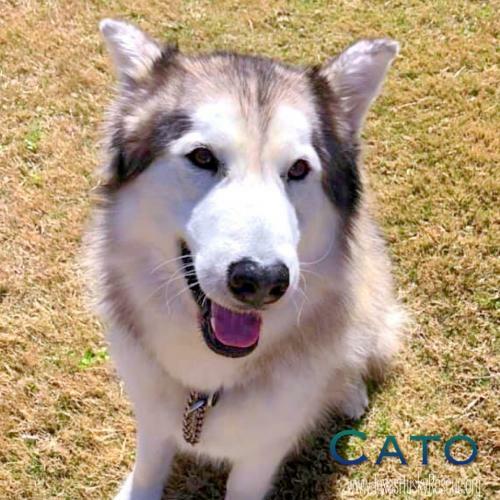 Shaving your husky is NEVER RECOMMENDED except in severe, severe medical cases. So fast forward NOW to February. 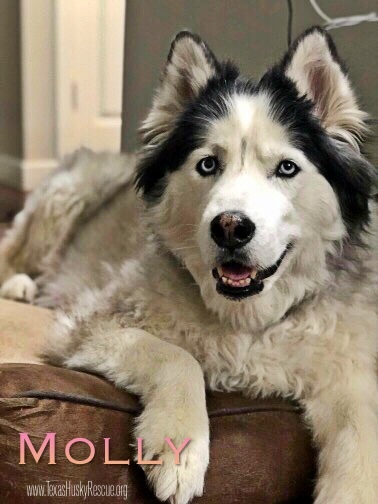 Molly is doing great, she has lost weight and is definitely on the right track and is ready to find a Forever Family who will take her on walks and help her get back her girlish figure. 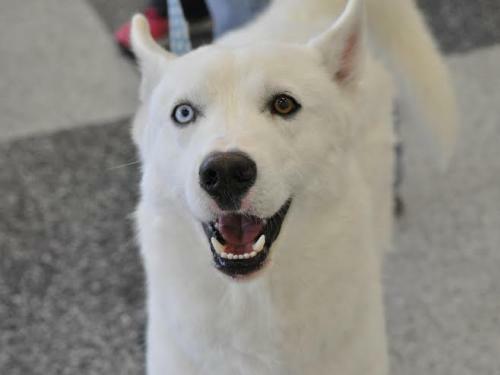 Molly wants to be the Queen of your castle and does not want to share your love so no other dogs are recommended. She is very easy going, playing more and is a lot more active. At this point, she tires very easily but can take a 3/4 walk pretty well. She loves to cuddle and has NEVER had any accidents. 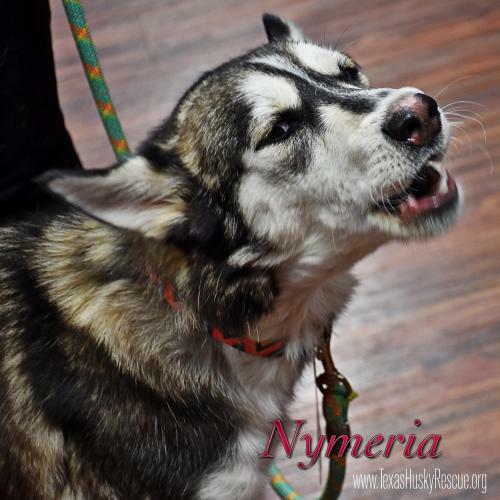 Nymeria is around a year old. She is exuberant and playful. 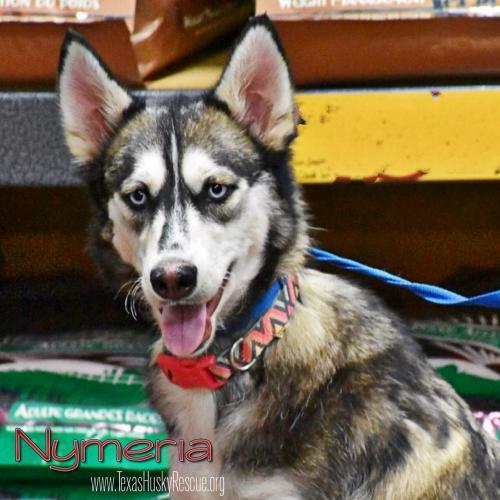 Nymeria's energy is non-stop and she loves playing with her canine foster siblings. 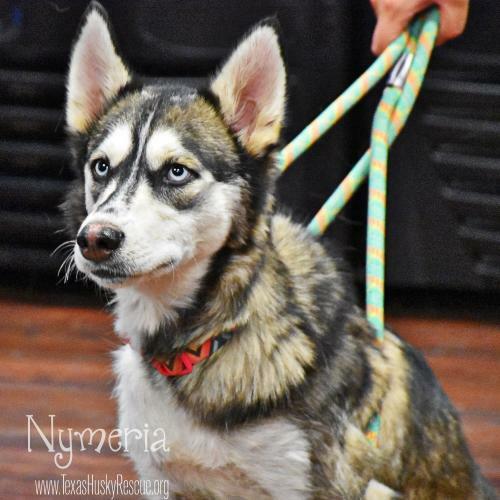 Nymeria knows her place is with her pack and she's hoping her pack leader finds her soon!! 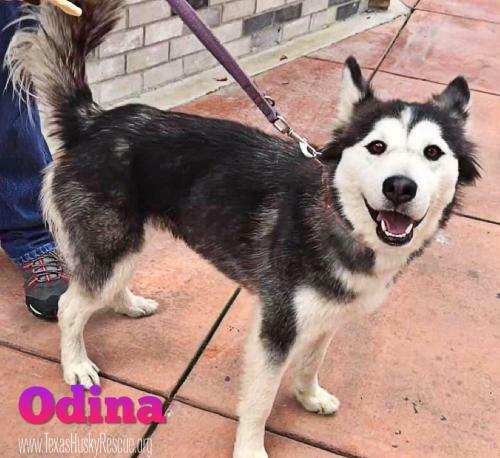 Odina is a just as sweet as she is cute. 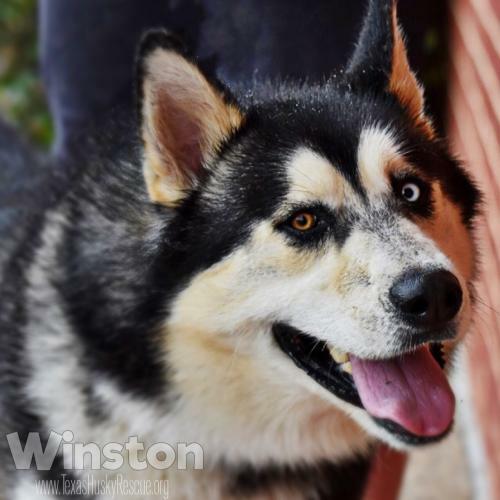 She is around 2 years old and loves, loves, loves people. 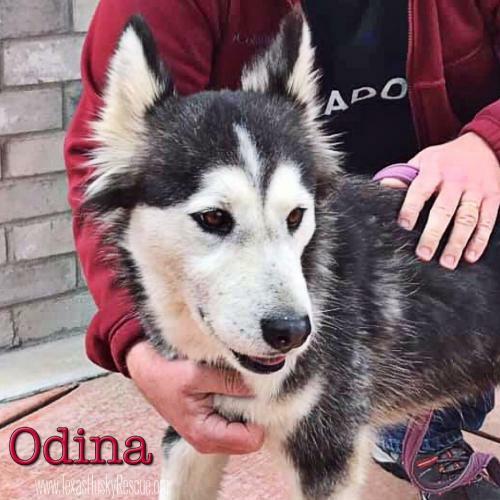 Odina does ok with other dogs but her true love is humans. She does well on the leash and has good house manners. 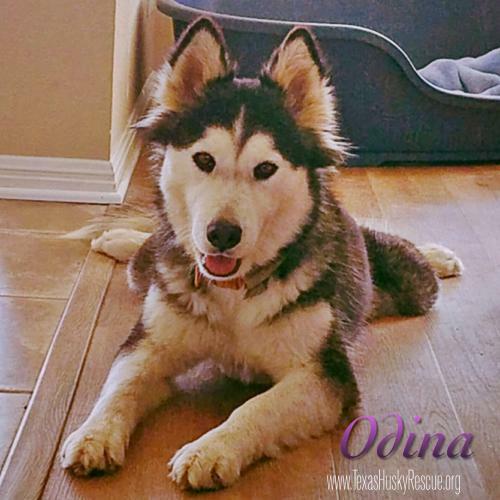 Odina is settling in well at her foster home so stay tuned for more info. 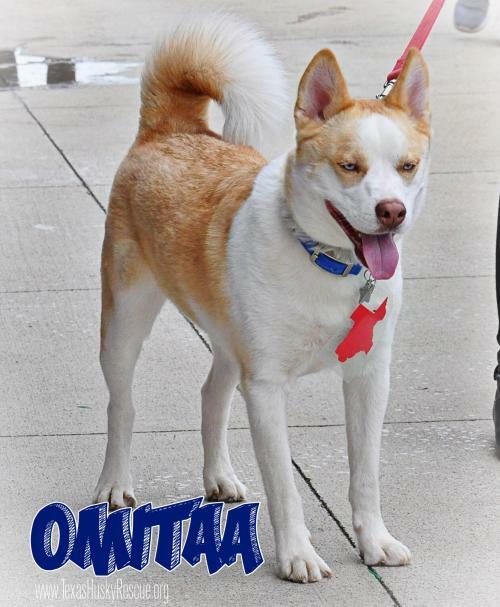 Omitaa is around two years old. 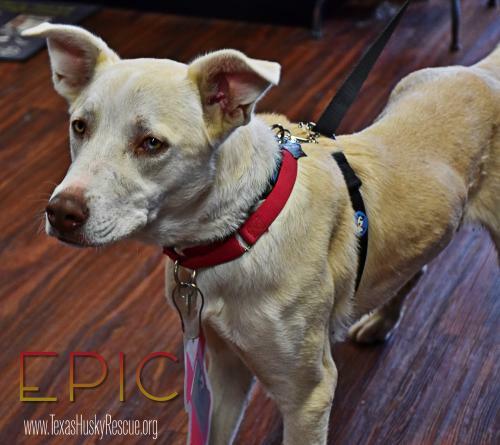 He was surrendered to a shelter in Houston in very poor condition but now he's doing great! 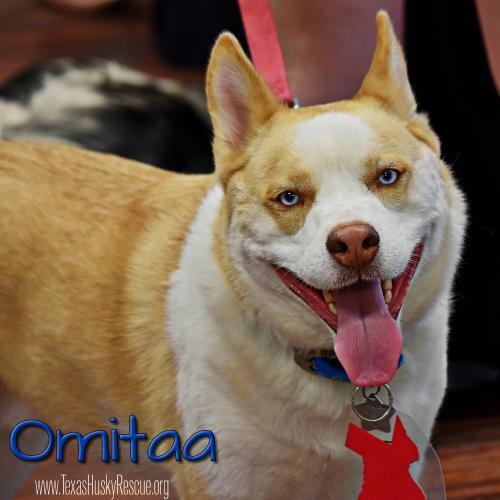 Omitaa is very loving and affectionate. He is a small guy but still loves to roughhouse with other dogs. 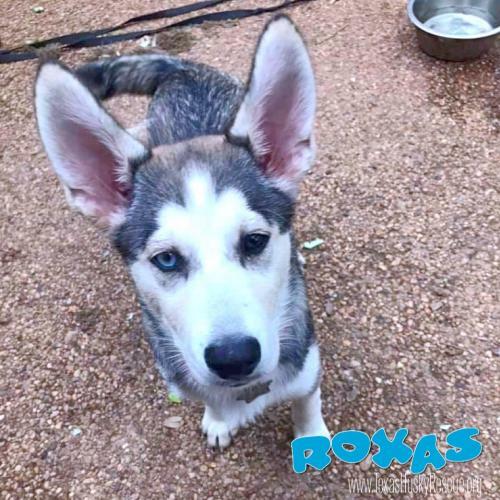 He is crate and potty trained and knows sit and shake. 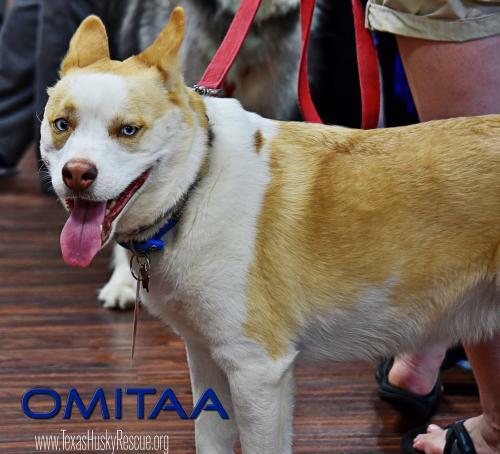 Omitaa is very treat motivated and will probably need some nice, safe chew toys in his new home (otherwise he might not chew something quite so...appropriate). 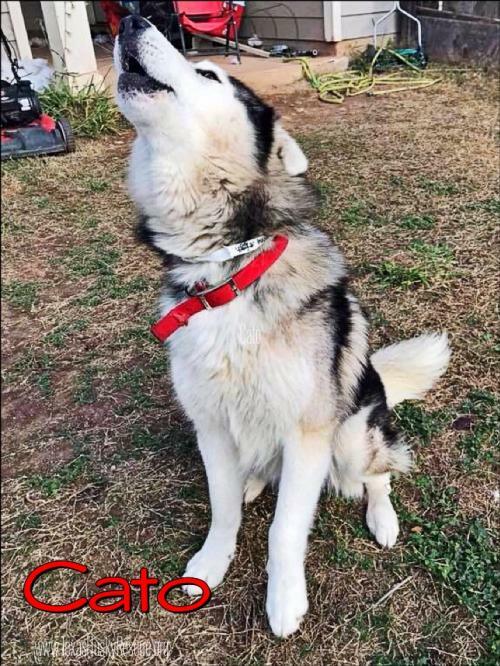 We think he could be an only or a pack mate but cats are not recommended. 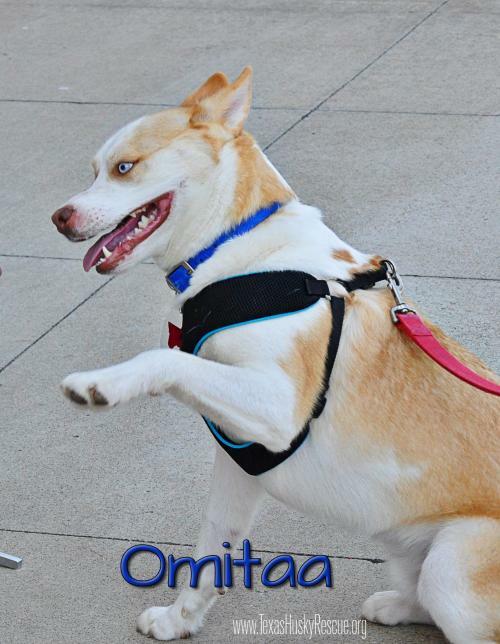 If a playful, loving, friendly, sweet, energetic, outgoing and happy is what you've been looking for, Omitaa is your guy! 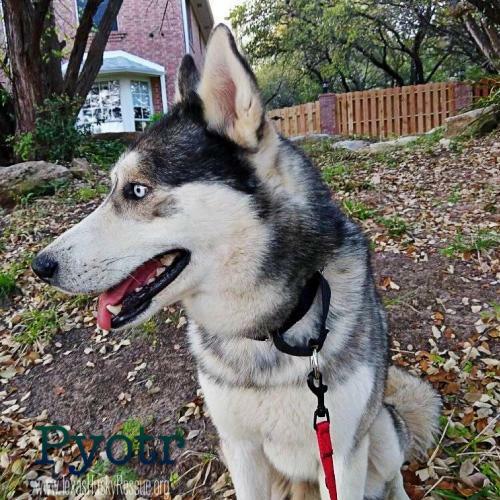 Pyotr Ilyich Tchaik is a super sweet boy around a year old. 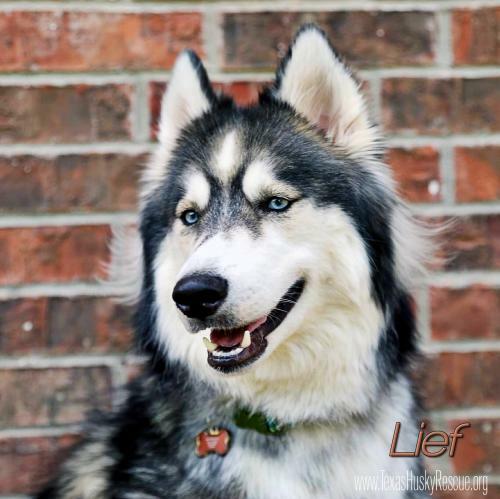 He gets along with other dogs and is doing great at learning his house manners from his Foster Family. We recently discovered while Pyotr was receiving his initial vetting that he had been shot with several pellets that were lodged in his tail, but fortunately, these don't seem to bother him and his squirrel tail gives him extra character! 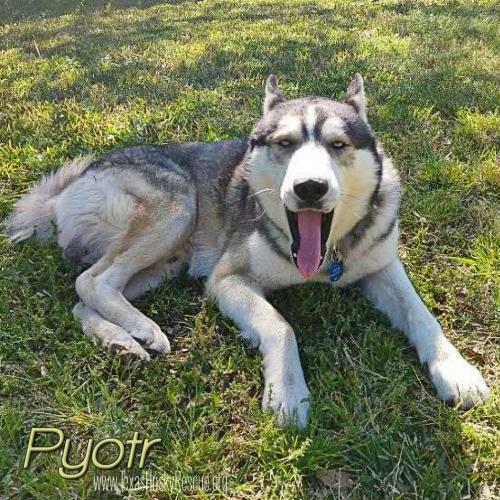 Pyotr has settled in nicely and recovered from his neuter, but would love to find a permanent foster home or better yet a Forever Family! 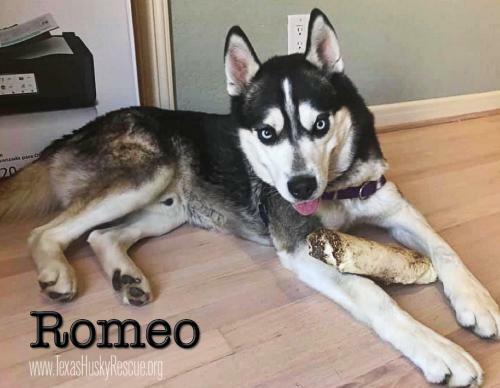 Hi – I’m Romeo and I’ve totally charmed my foster family who saved me from a kill shelter. 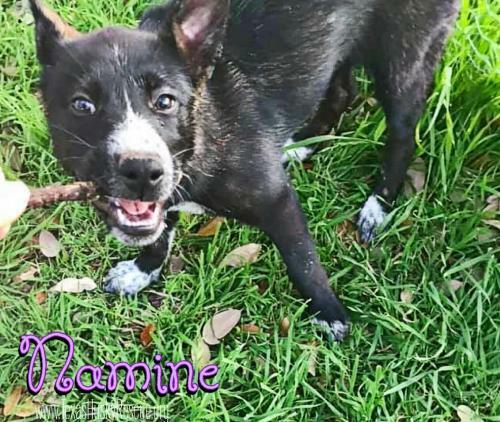 My hobbies include wedging myself between your legs while you are seated to get my ears scratched, going on runs with my foster mom and siblings, playing bitey face with my foster siblings and just generally being a good boy. I am crate and potty trained but also sleep nicely next to your bed all night long until you wake up in the morning. I am great in the car, especially if we are going to Starbucks to get puppacinos. I really like those! 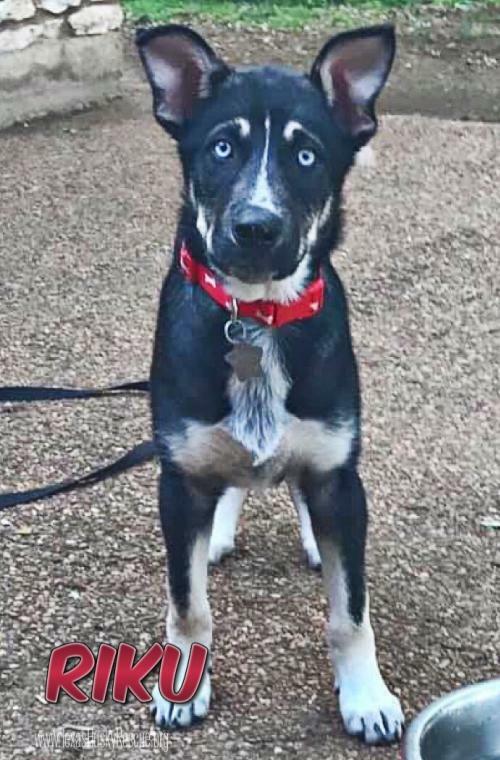 Oh, I am also a really good boy at walking on the leash – my foster mom tells me she’s never had such a good husky walker before. 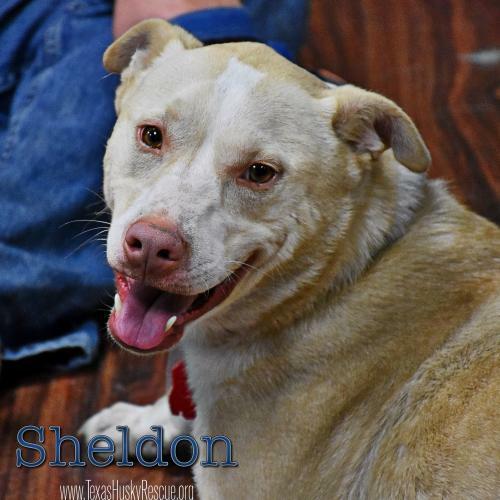 I am about two years old, 65 pounds of chunky monkey and would love to spend the rest of my life loving you and your family. They don’t call me Romeo for nothing! 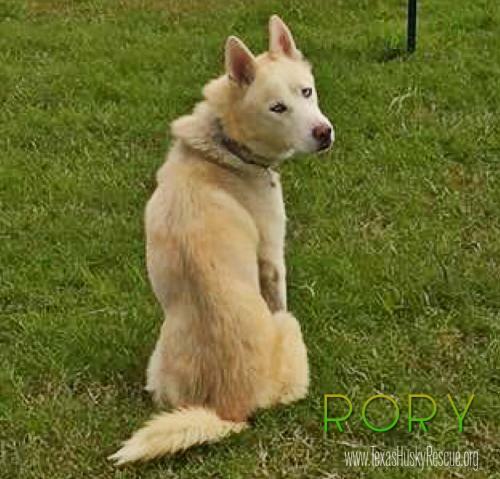 Rory is estimated to be around 2 years old and is a big old sweetheart. Everyone has fallen head over heels in love with him. 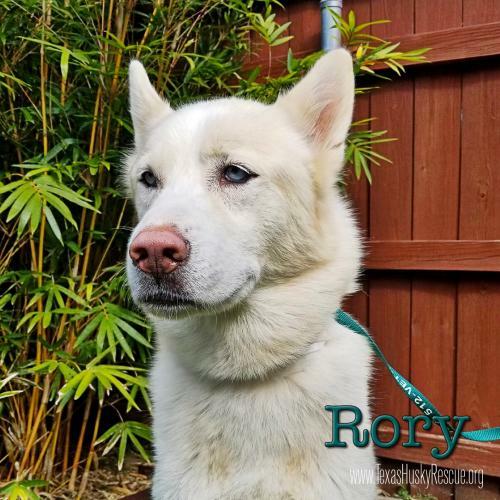 Rory would do best in a family with no small children. 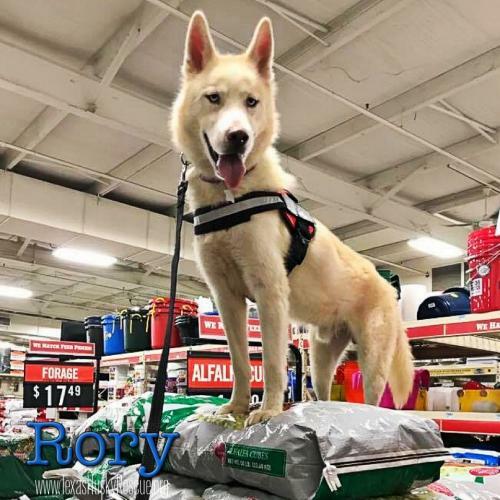 Rory is completely vetted and ready to go to a Foster or Forever home. 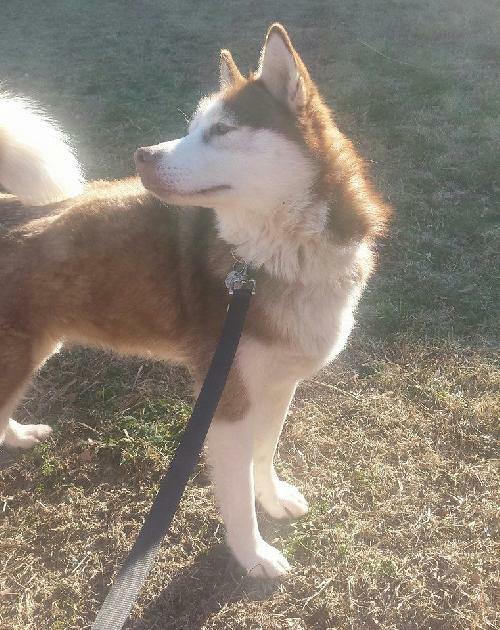 Sheldon doesn't look like a typical husky but he has as much heart as any Siberian! 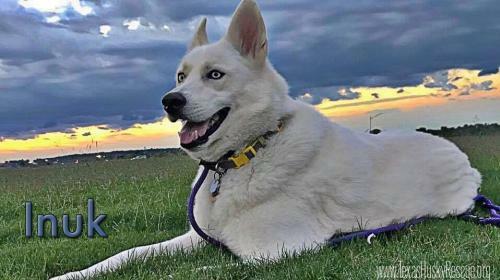 He is 4 years old and born into rescue when his pregnant husky mom was saved from an area shelter. 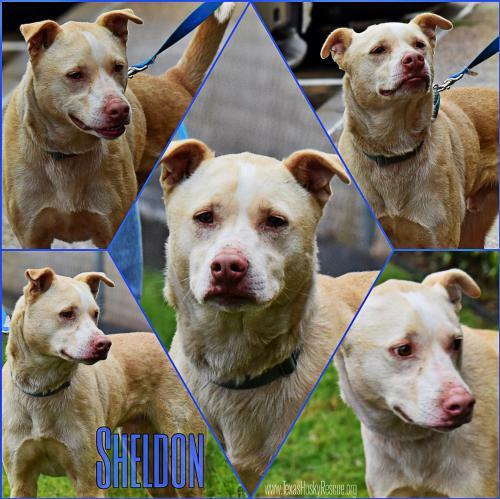 Sheldon is a sweet and loving boy who gets along great with other dogs, loves to play, go on walks and visit the dog park. 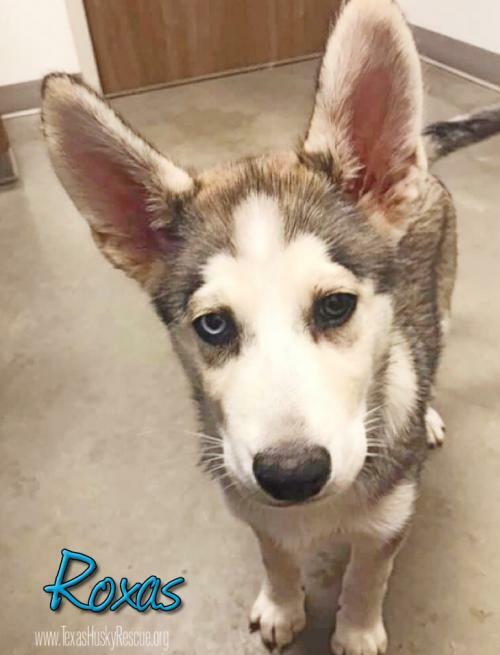 He is house trained, crate trained and super smart. 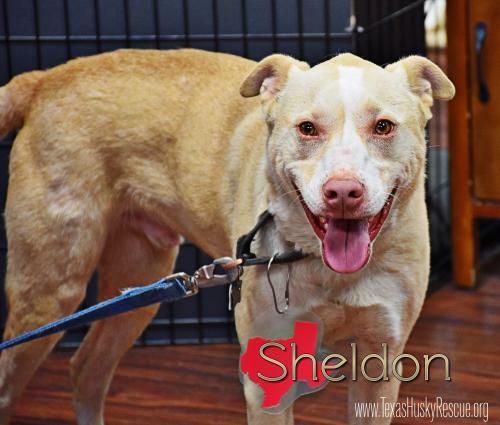 Sheldon is kid-friendly and loves everyone!! 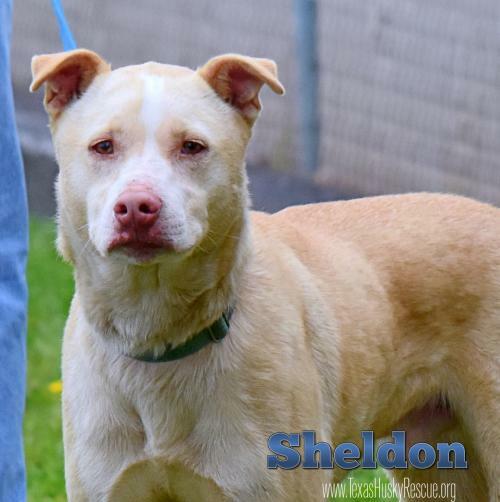 Sheldon has been waiting a very, very long time to find Forever! Maybe he has been waiting for you!!!! Uno is a big boy at around 65 lbs and still needs to gain a good bit of weight. He's super handsome and heartworm negative. 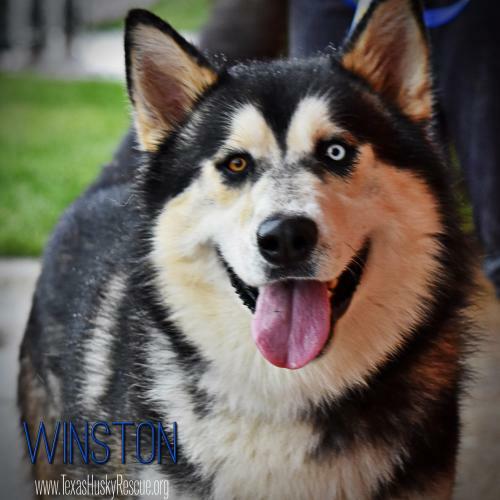 Once he's gained some weight and has been neutered, he will be available for Foster or Forever. 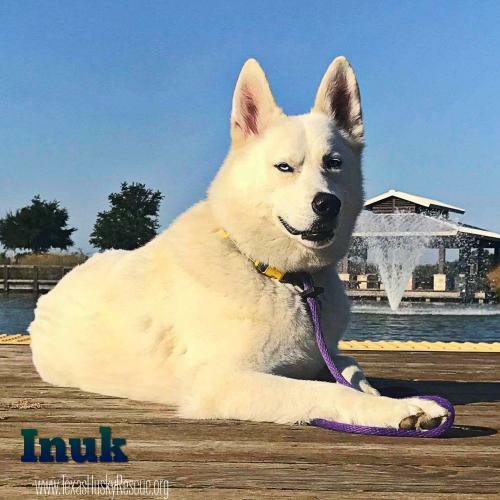 He is currently crashing with our medical Foster at Camp Husky! 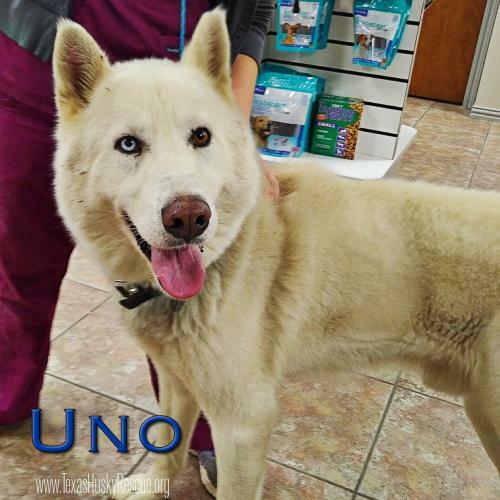 Stay tuned for updates and availability of Uno! 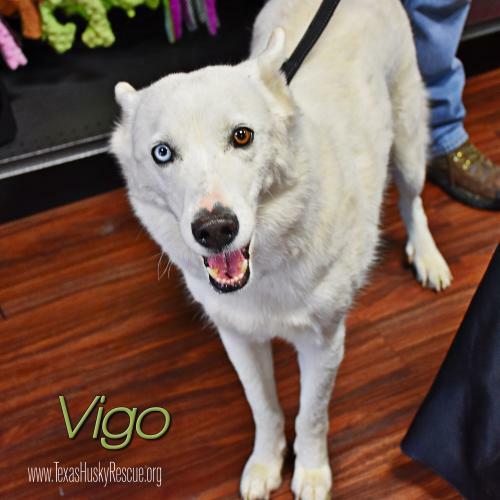 Vigo is around five years old! 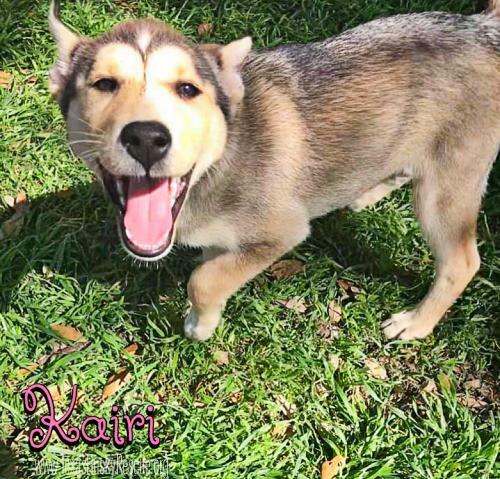 He loves, loves, loves to play--especially with an equally enthusiastic canine buddy--but he also adores fetch and toys. 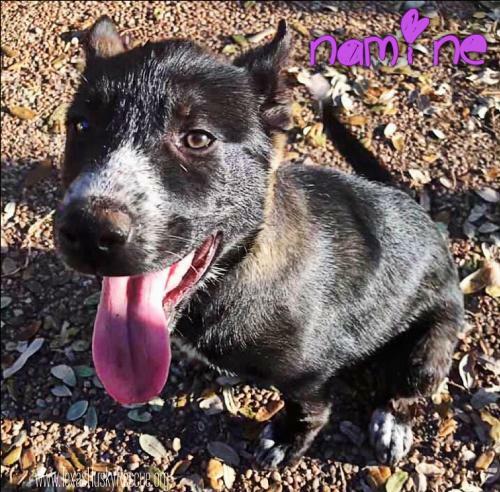 He is a goofy, mischievous boy who will need patient adopters to teach him boundaries and continue his training. He is house trained and rides well in the car. 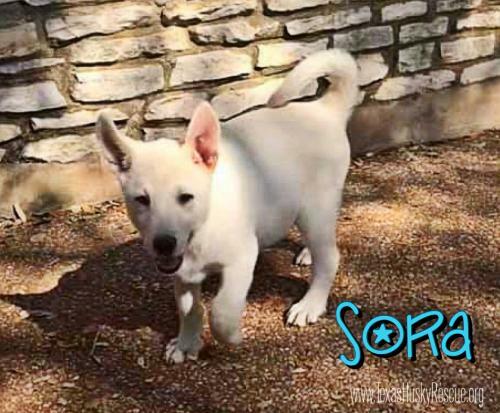 His foster is currently working on crate training. 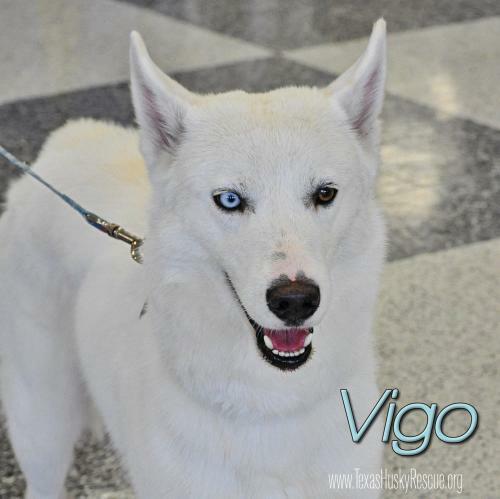 Vigo is great with kids and dogs his size. 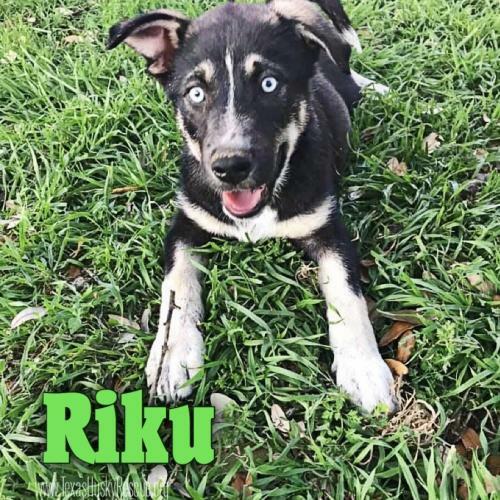 An active family and a doggy sibling (or two) are recommended for this high energy, fun loving boy. Small animals are not recommended. Winston is about a year old and quite the gentleman. Very well behaved and just about as handsome as they come. 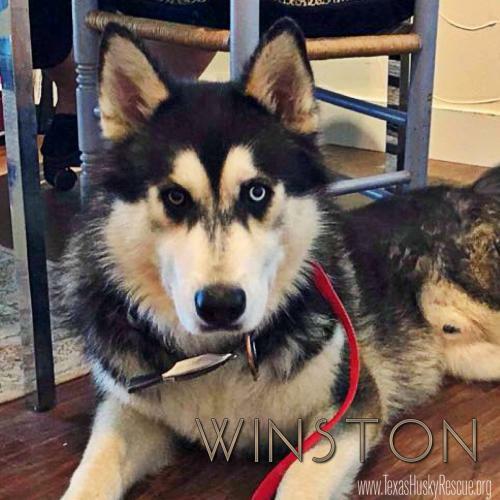 Winston has been out of commission for a while as he healed from hip surgery but is now ready to his Forever Family. 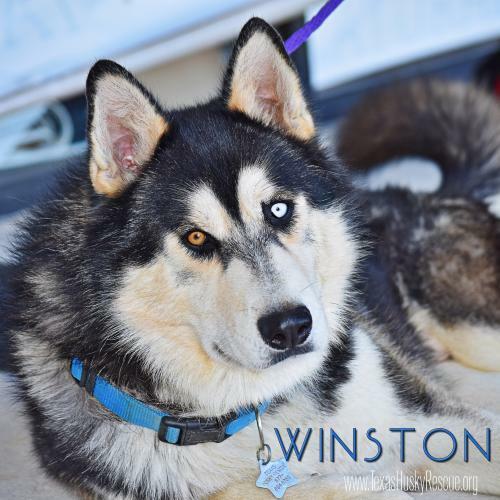 Winston would do best as an only dog...he loves his people but wants to be your main man! 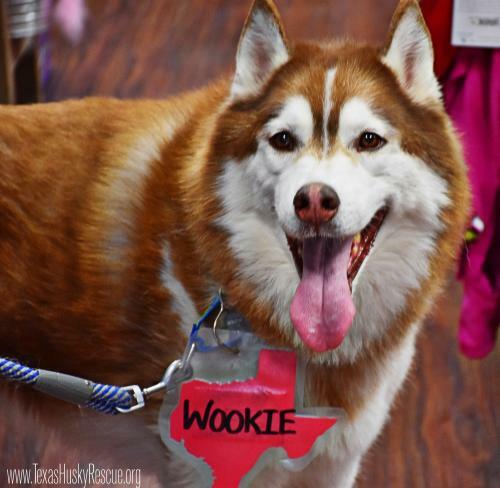 Wookie is a big, quiet 5 year red who is very soulful, and likes human company more than being a part of the pack. He prefers to hang by himself and loves to be around his special people. Wookie has a strong voice that sounds bigger than he is. 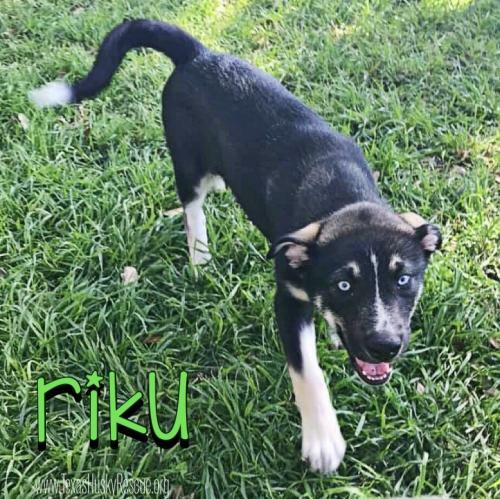 Although he will occasionally play a little with other dogs at his Foster Home, he is generally a little picky about most dogs and does not like to share. He is not cat friendly and isn't really a fan of smaller dogs. 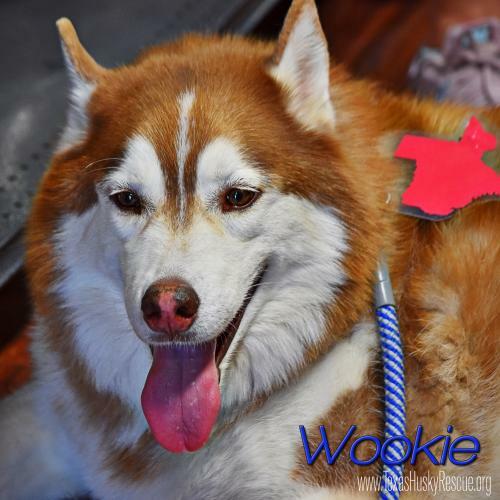 Wookie isn't high on energy but will play with a tennis ball and LOVES stuffed animals to tear apart and carry around - Wookie also loves to watch TV and hang with the family for quiet snuggling on the couch or spend time hanging outside on a patio. 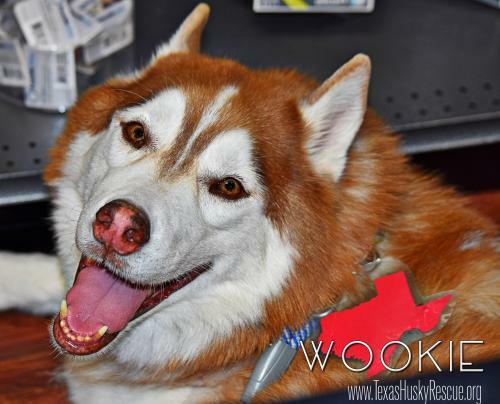 Wookie loves car rides but will need help if he needs to jump up into a higher vehicle. 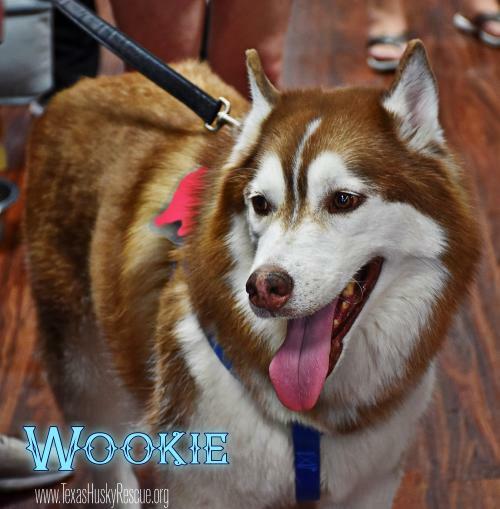 Originally it was reported that Wookie was deaf, this is unlikely, we think he just had a strong case of husky selective hearing! Well hello there, dear. 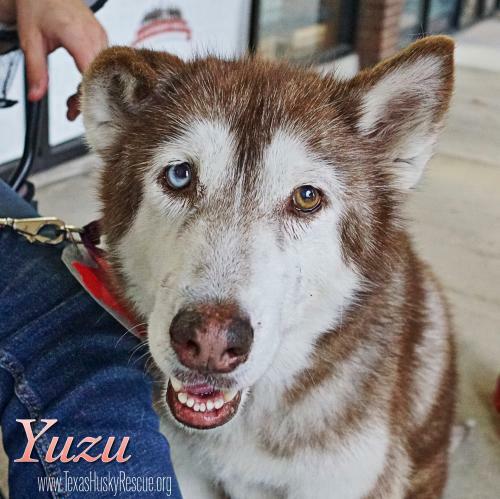 My name is Yuzu, but I respond much better to Pretty Girl. What can I say, at my age I have learned what I like, and I most certainly love compliments. Now I know you’re thinking, “How old are you?,” but a true lady never reveals her age. I will give you a hint and say I’m at least seven. My past hasn’t always been the comfortable and leisurely life I now live. When I first came to TXHR, I was in rough shape. I was practically naked since all my fur had fallen out, and let me to you how embarrassing that was. Can you even imagine a nice, dignified lady such as myself running around naked? That certainly isn’t how my mama and papa raised me, and I don’t even want to know what rumors the neighbors were spreading. Fortunately, a lovely young woman scooped me up and got me all fixed up. Now, the neighbors look at me and admire my gorgeous coat. Anywho, if you are looking for a mall walking buddy or bridge partner, then I’m your gal. 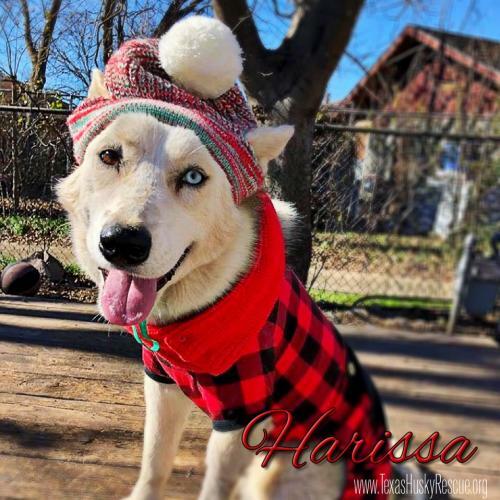 Stay on top of what’s happening at Texas Husky Rescue. Sign up to receive regular digital newsletters and announcements.